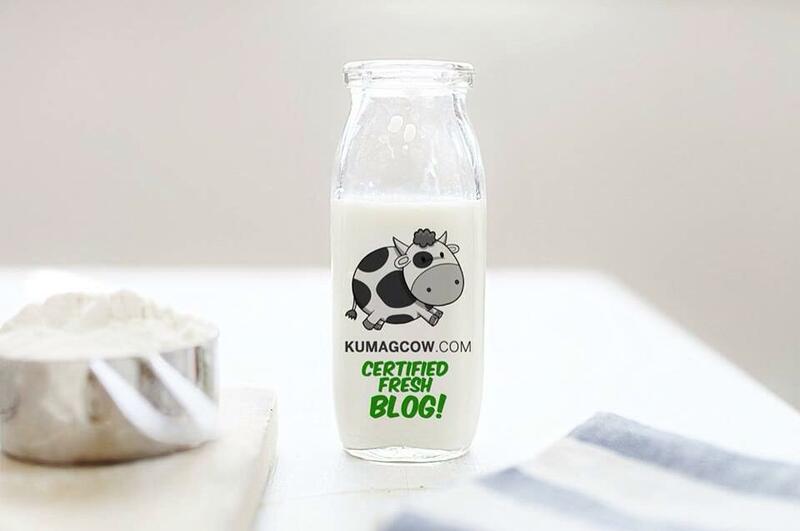 You've been here and seen the difference with different malls in the country, the lifestyle fits you and if there's something that you want to do when you're at the Shangri-la Mall, that's shopping. 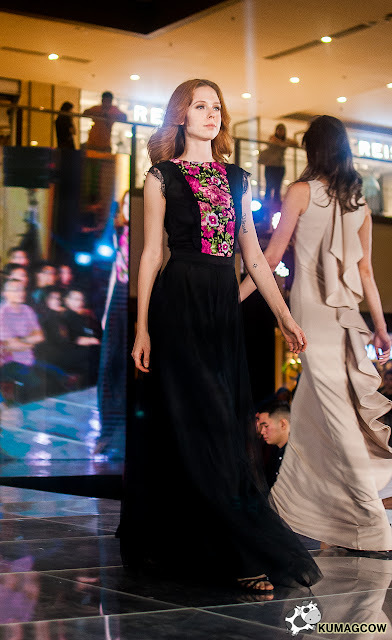 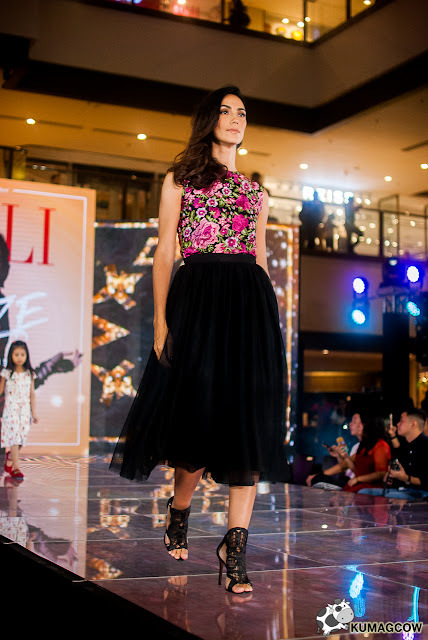 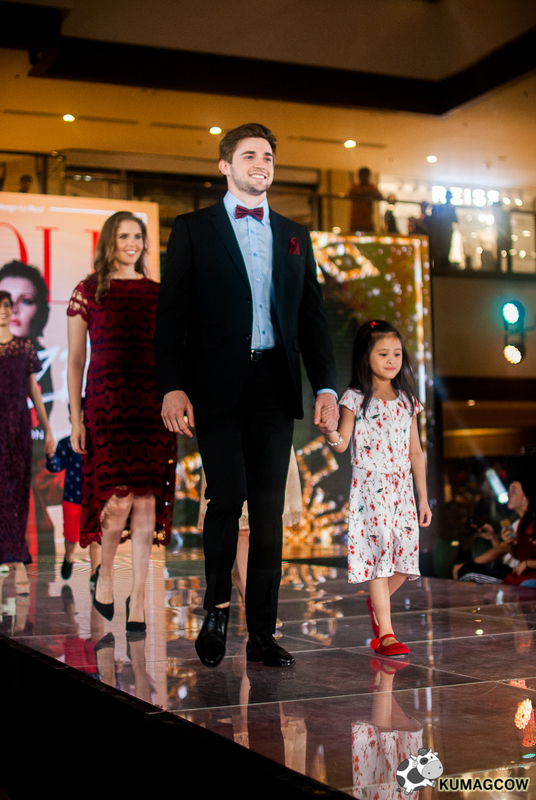 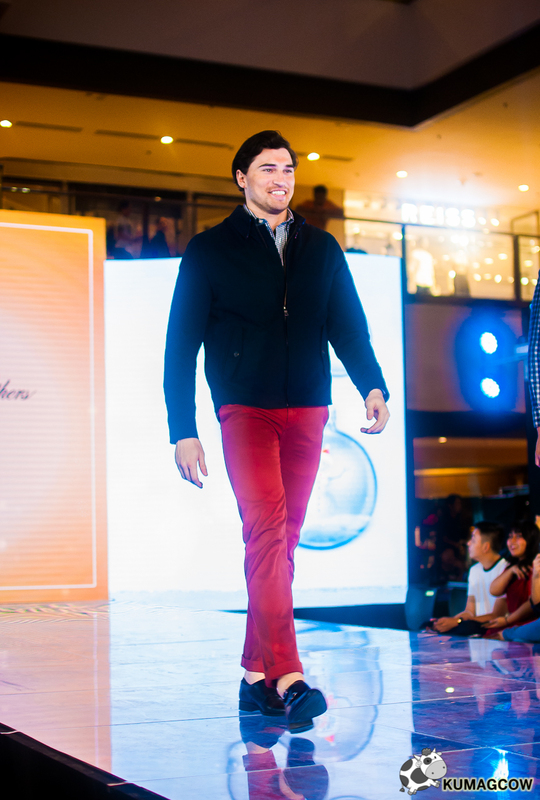 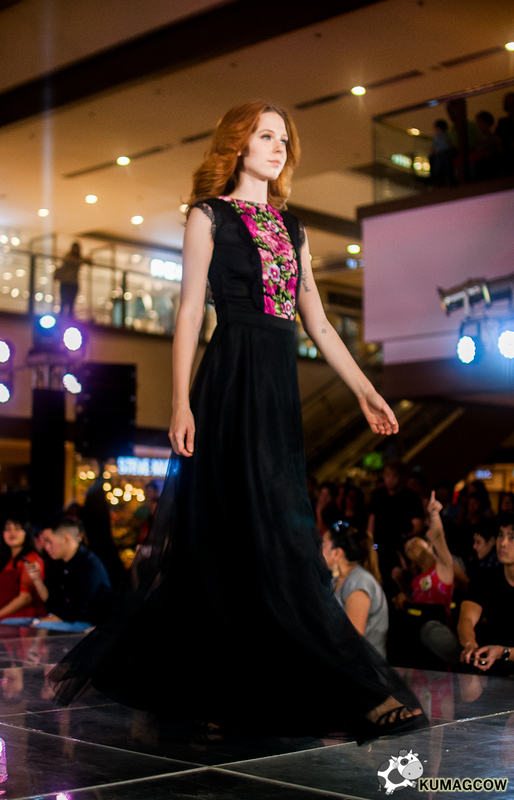 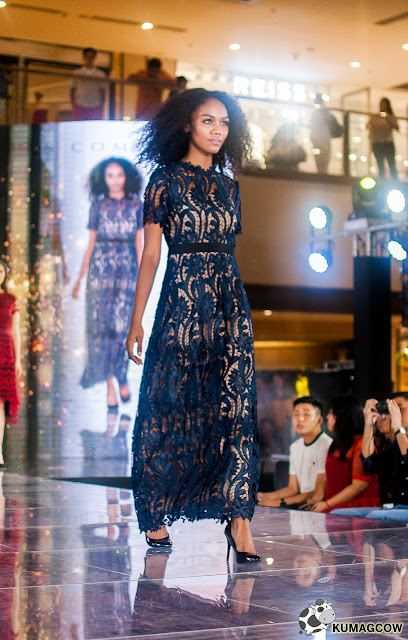 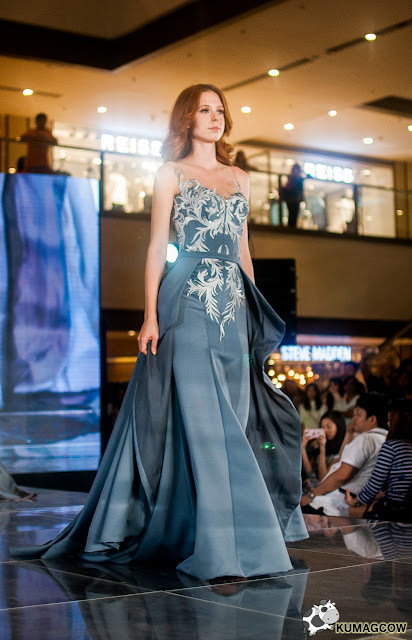 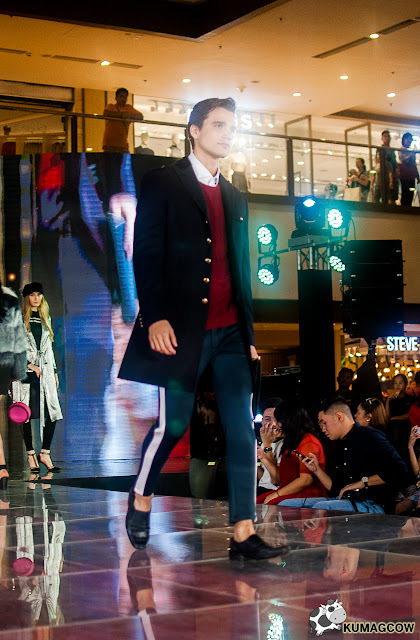 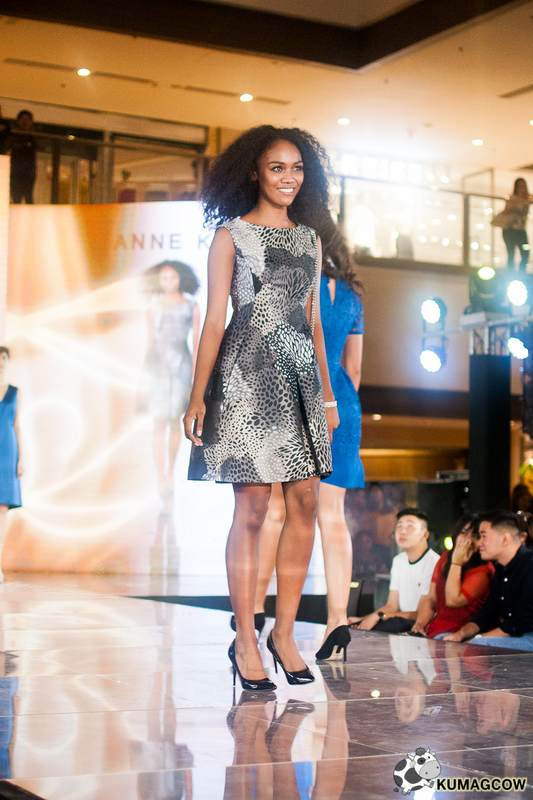 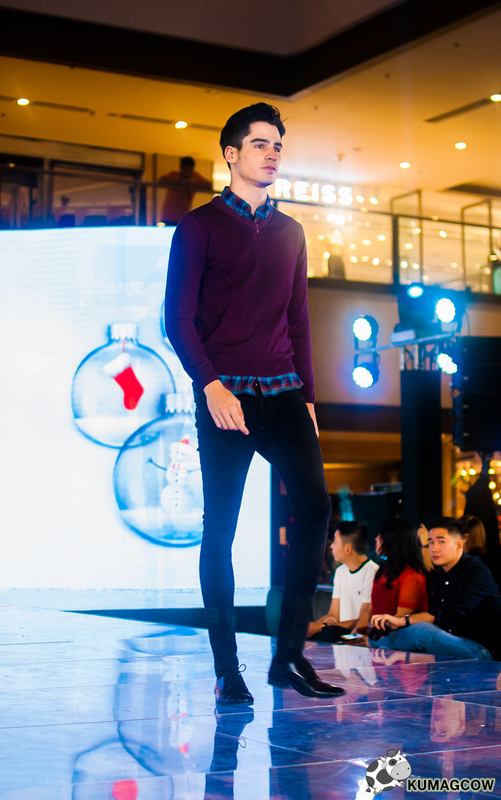 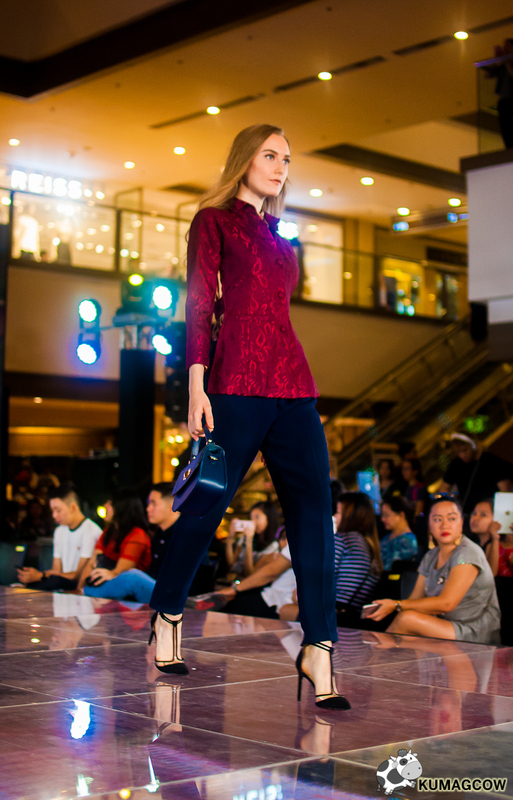 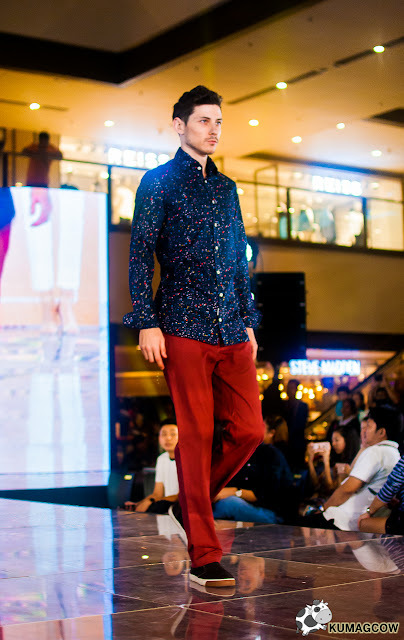 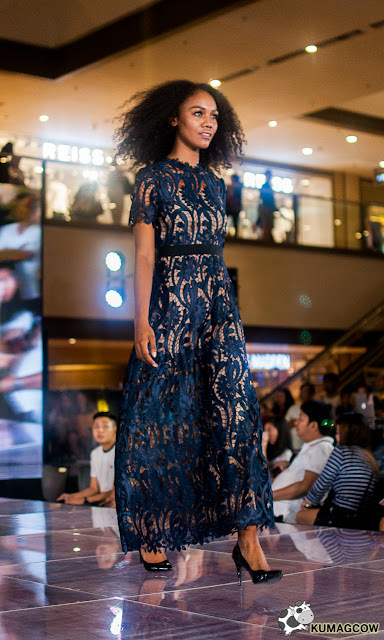 The choices for fashion is endless, and what better way to showcase that but with HOLIDAZE, a Shang Fashion Show. 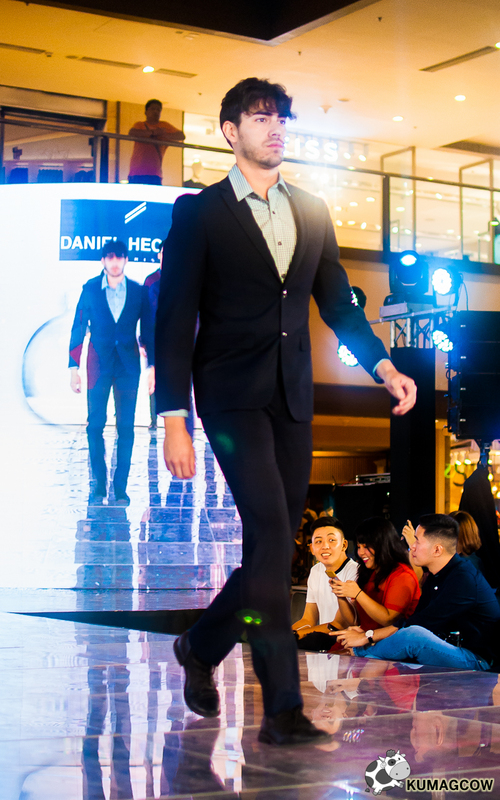 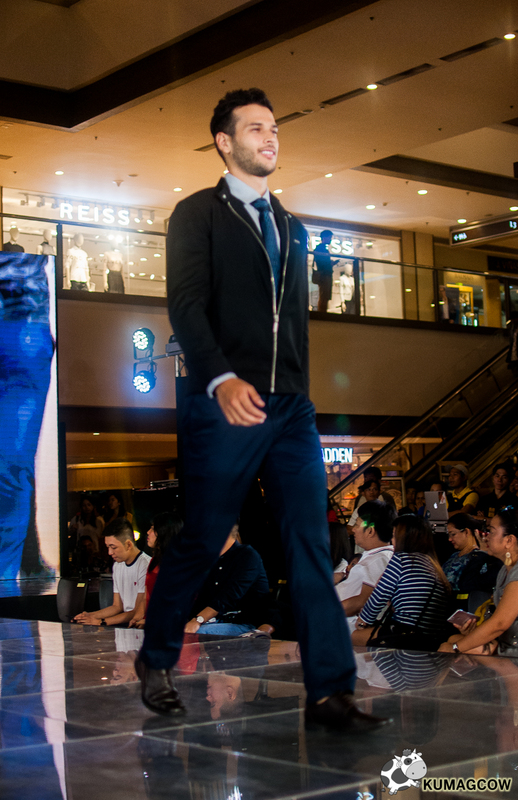 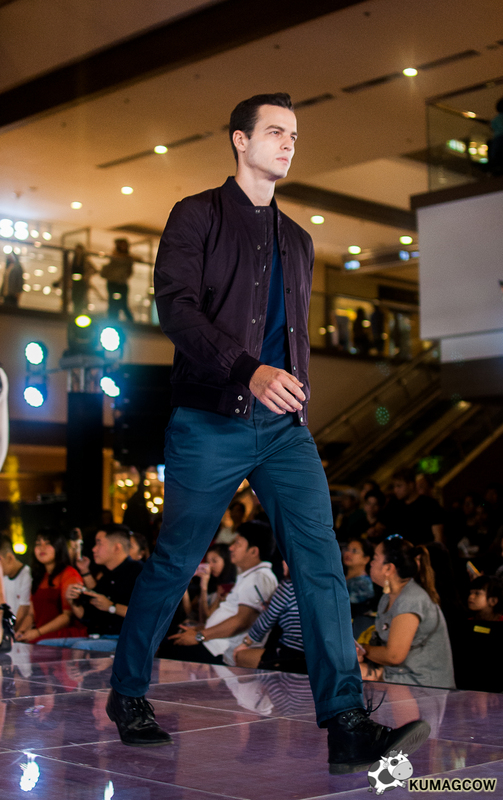 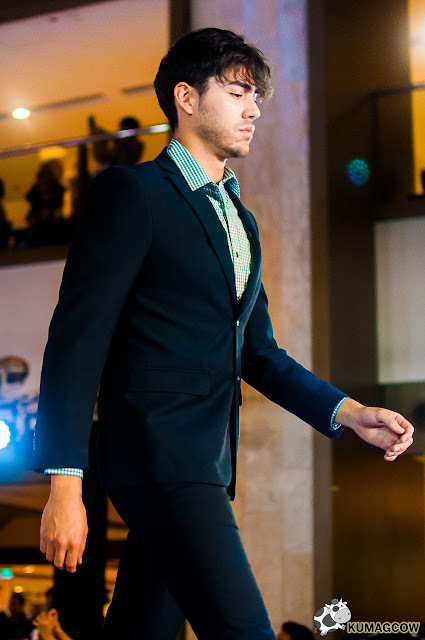 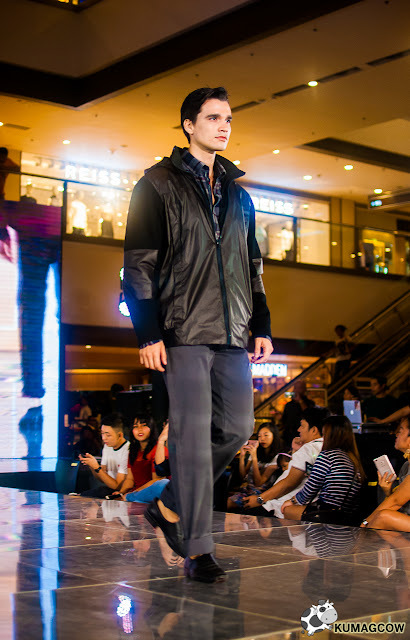 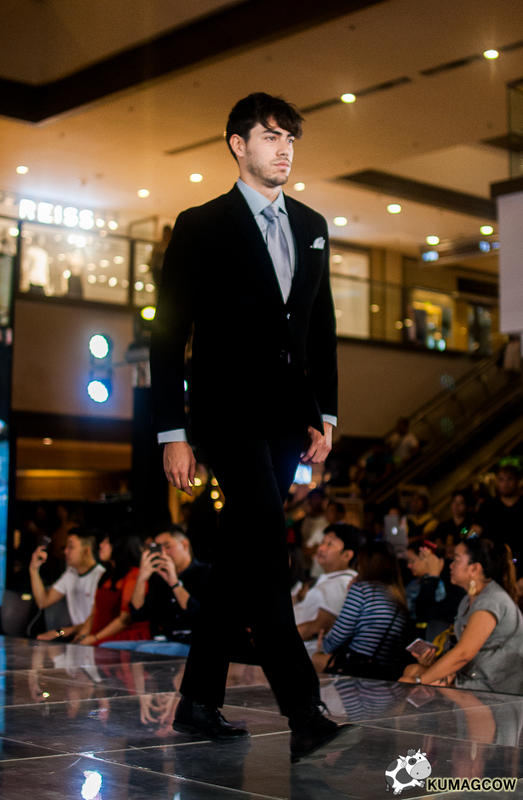 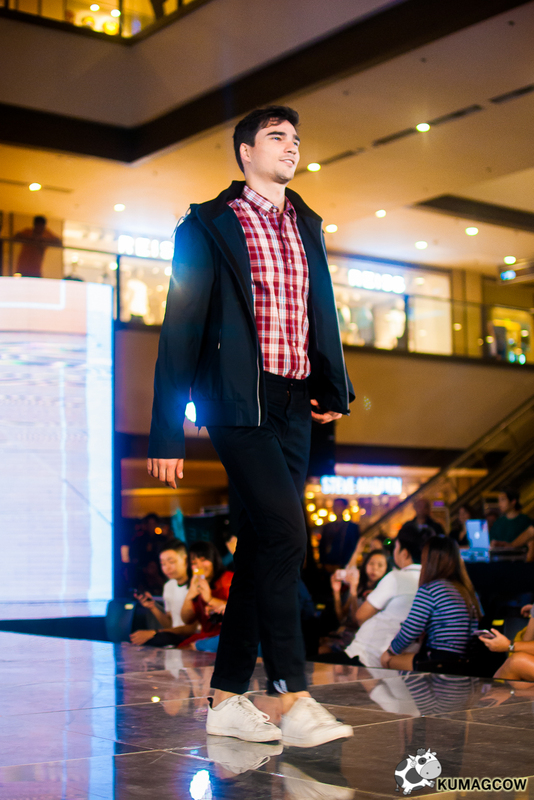 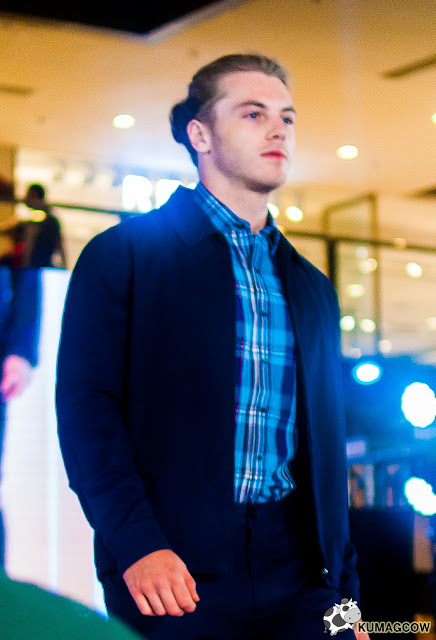 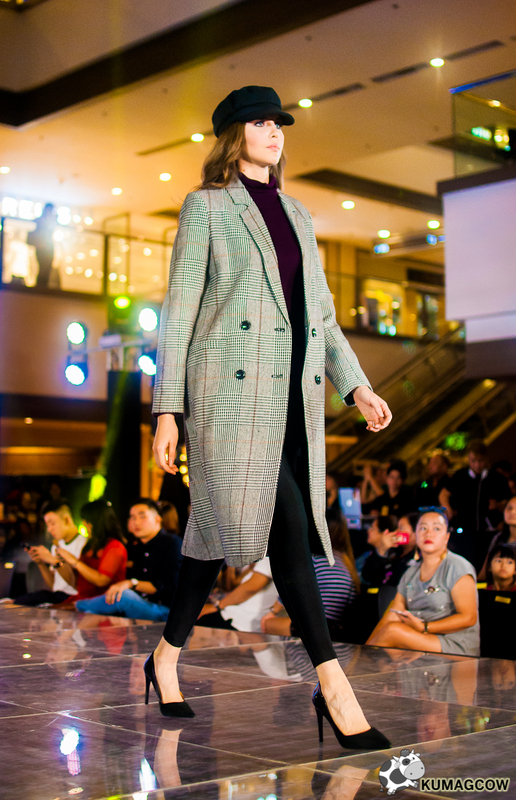 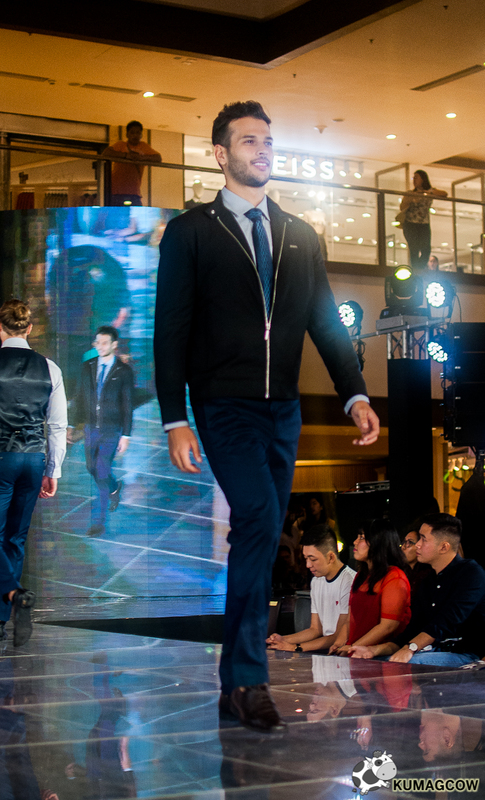 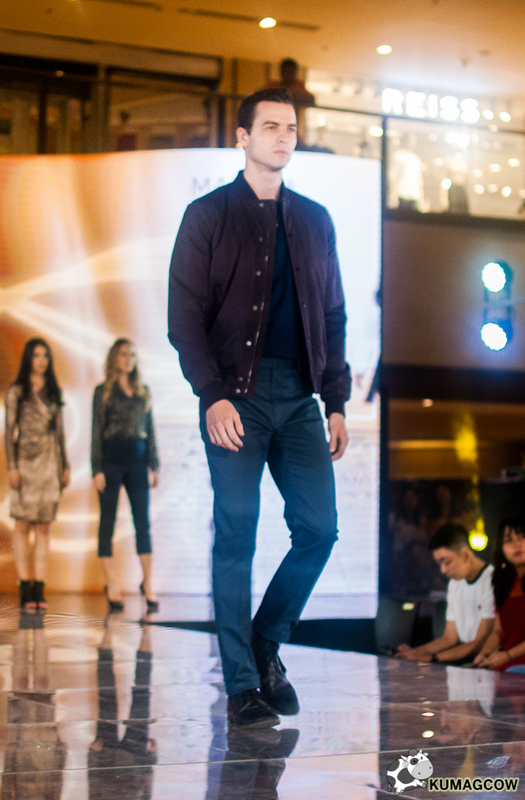 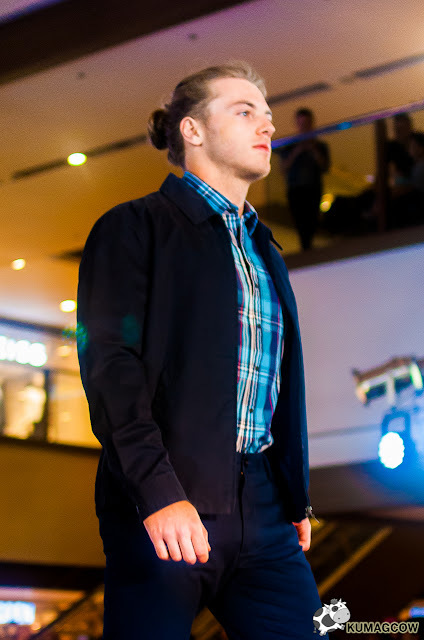 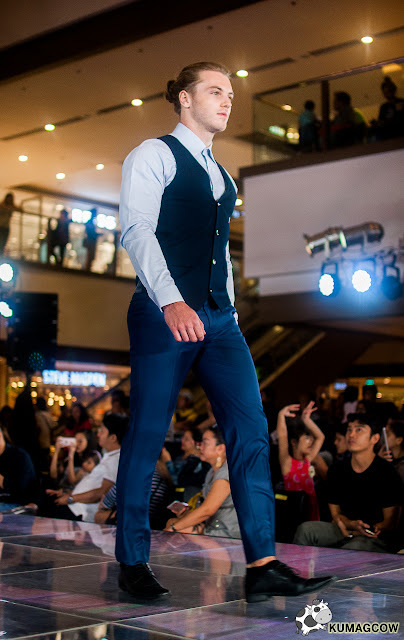 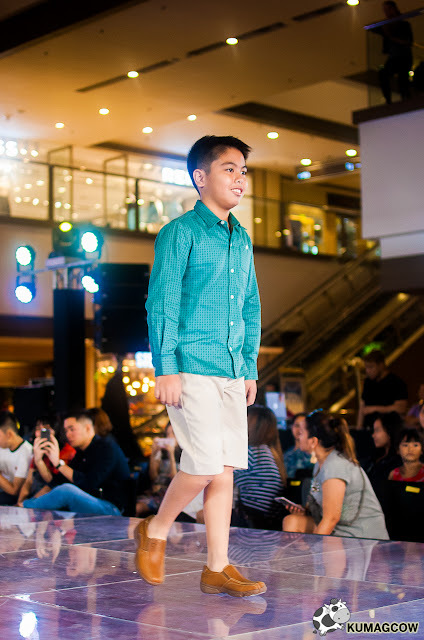 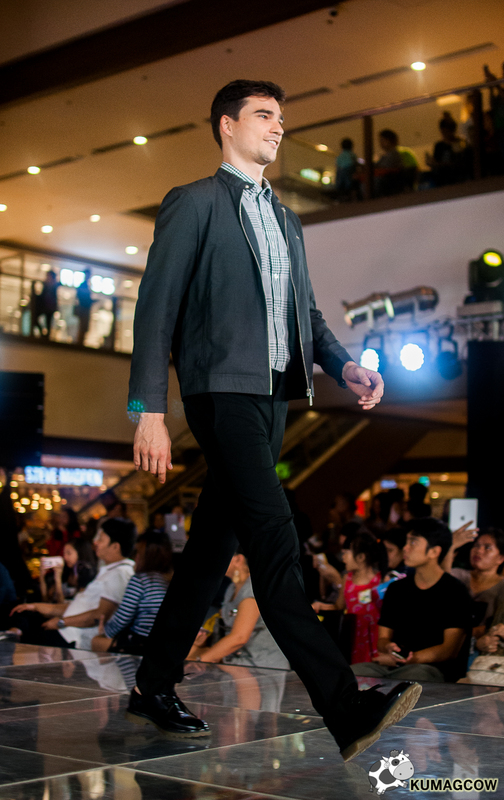 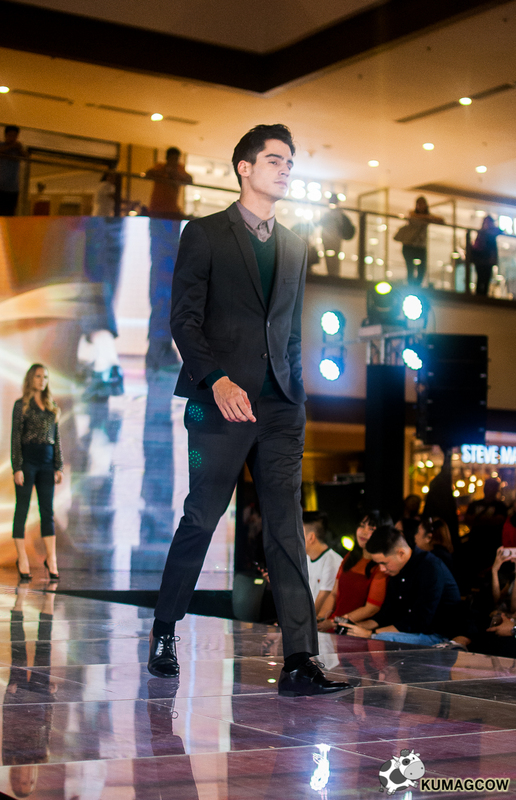 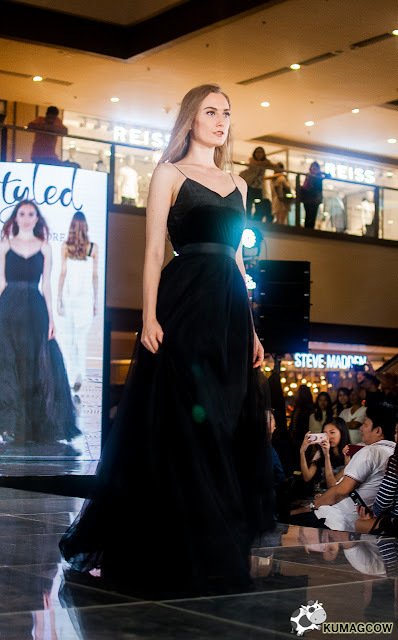 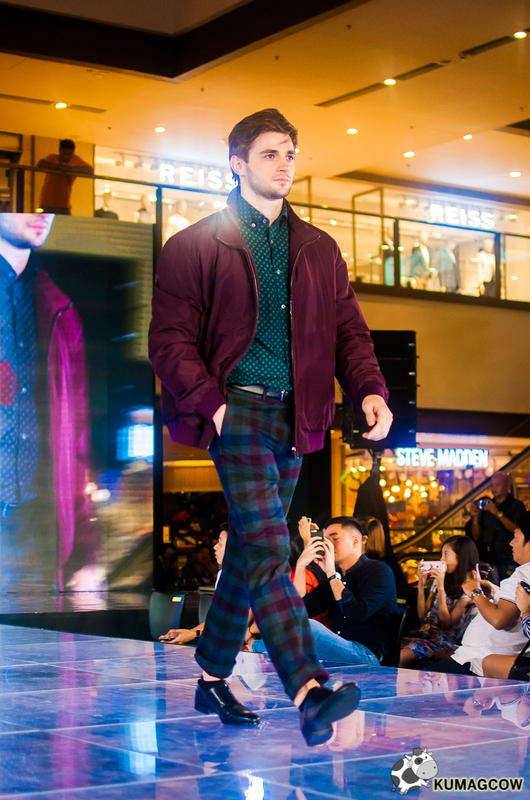 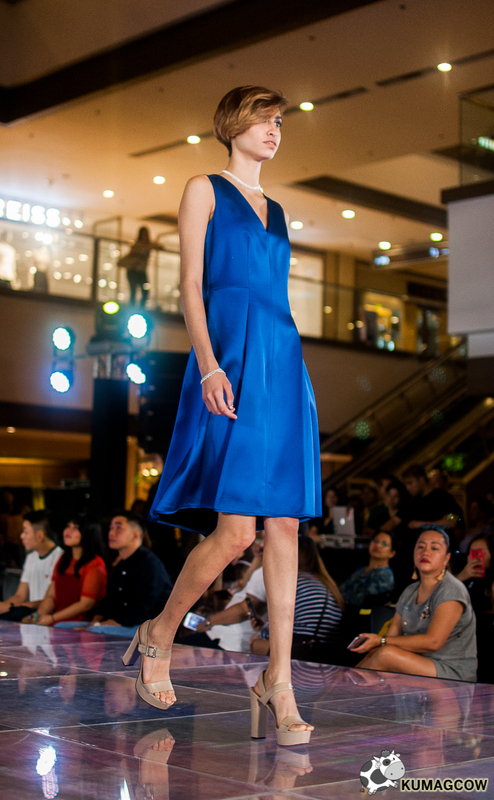 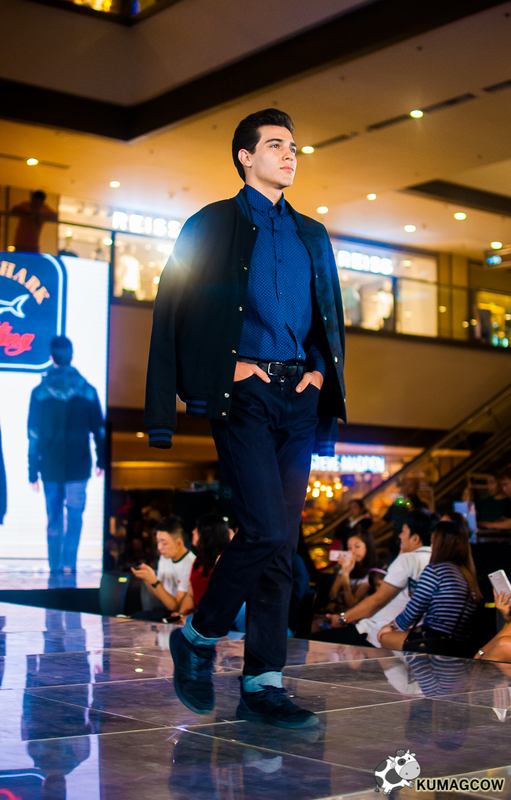 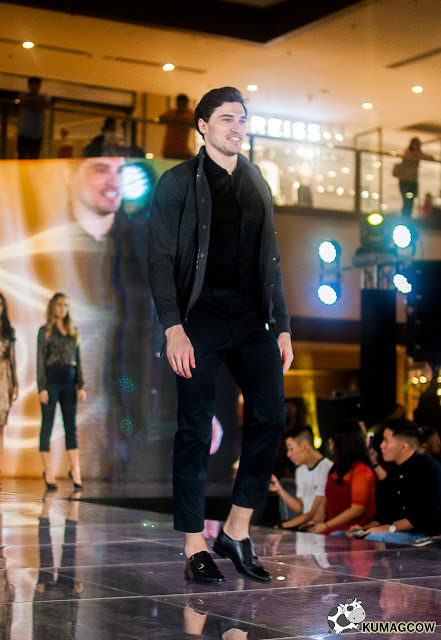 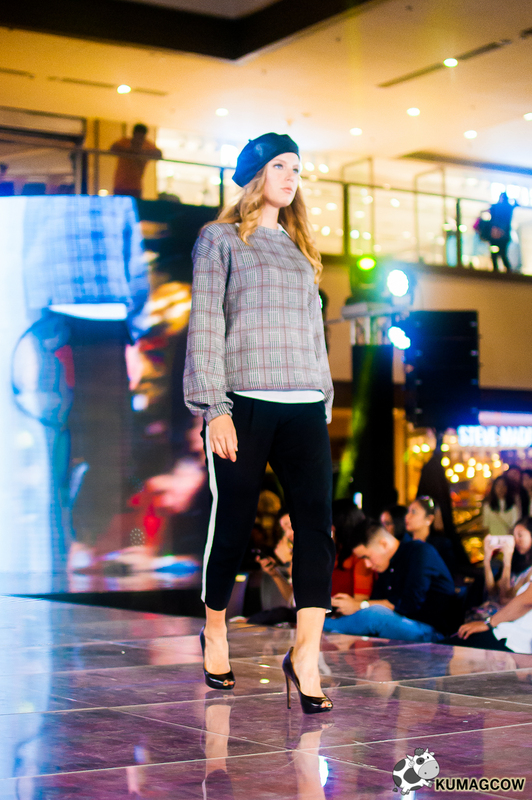 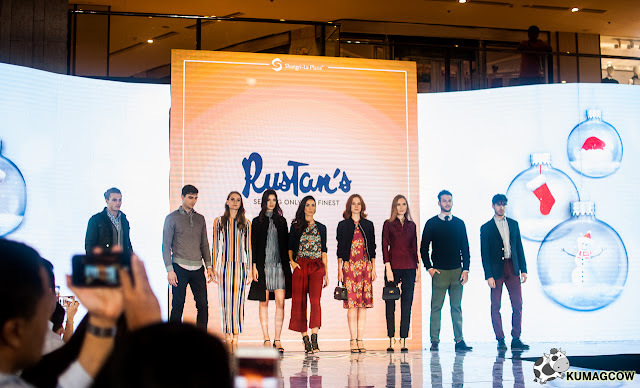 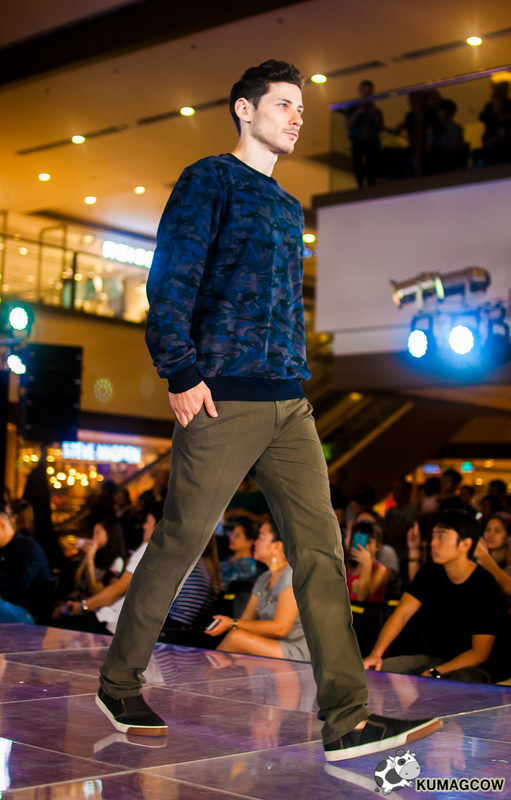 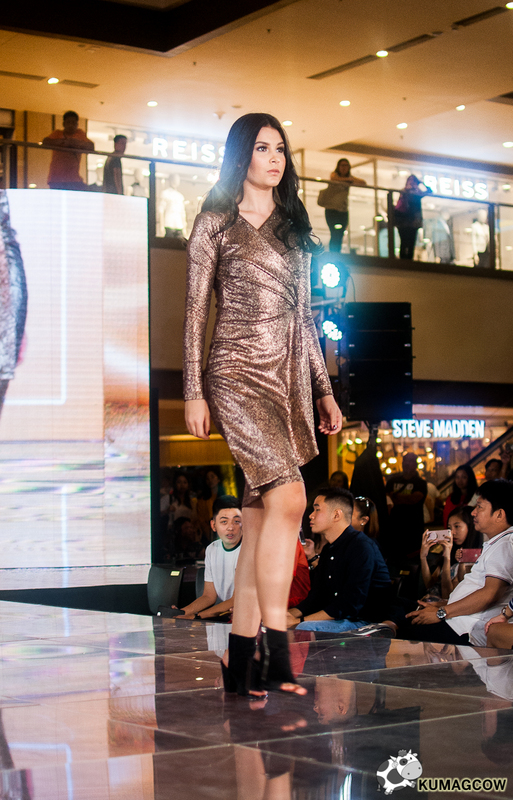 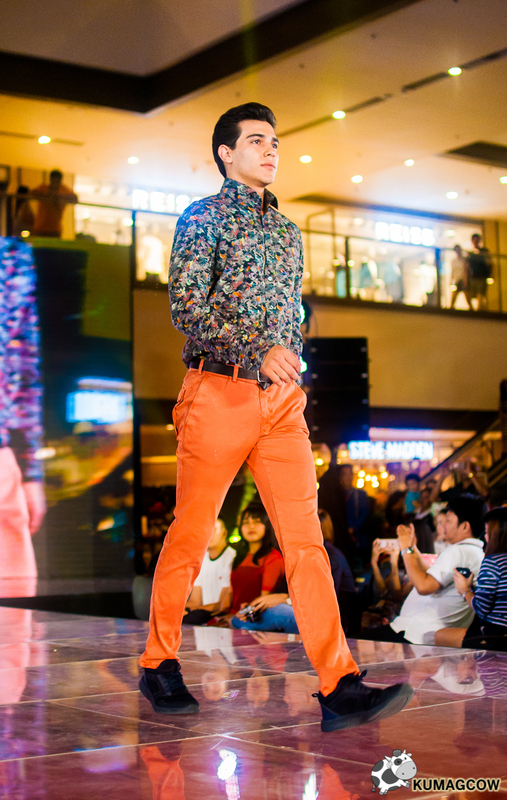 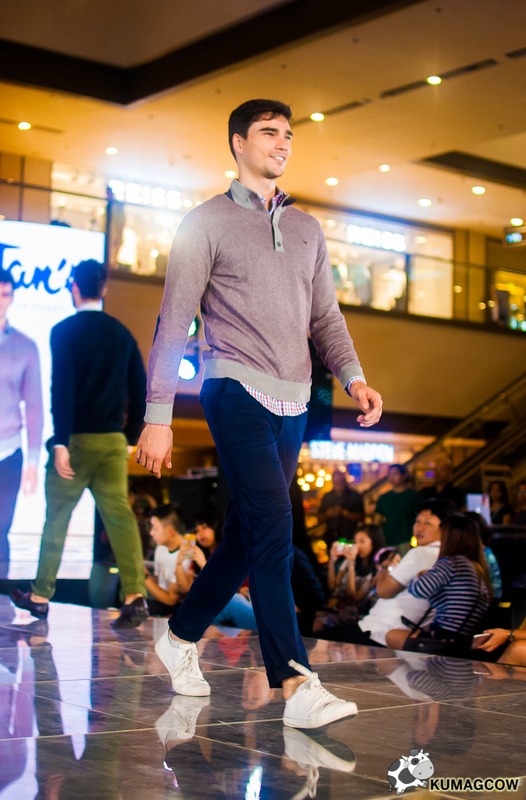 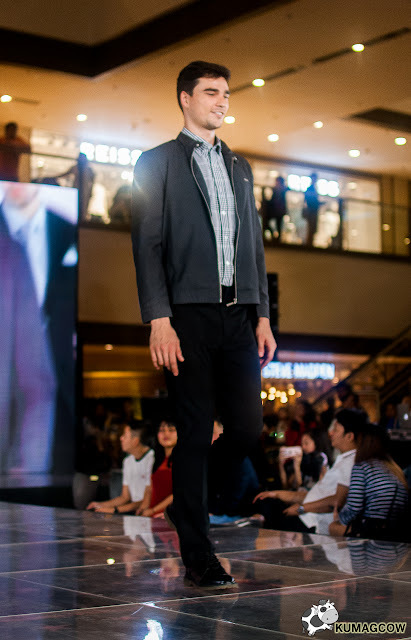 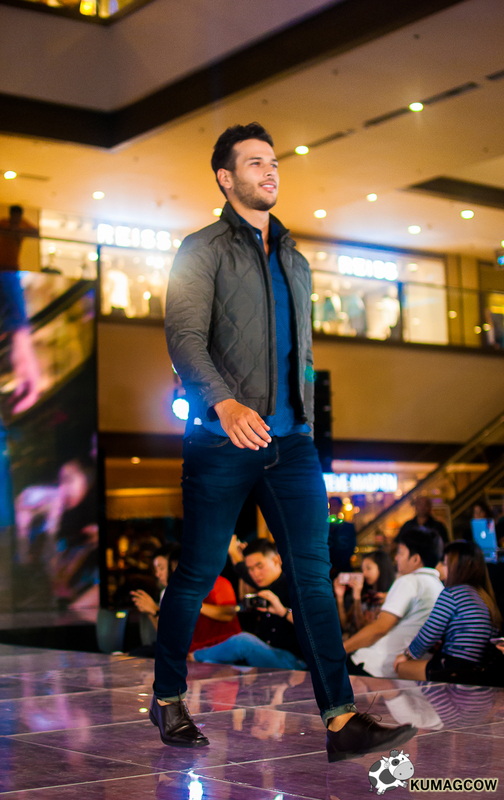 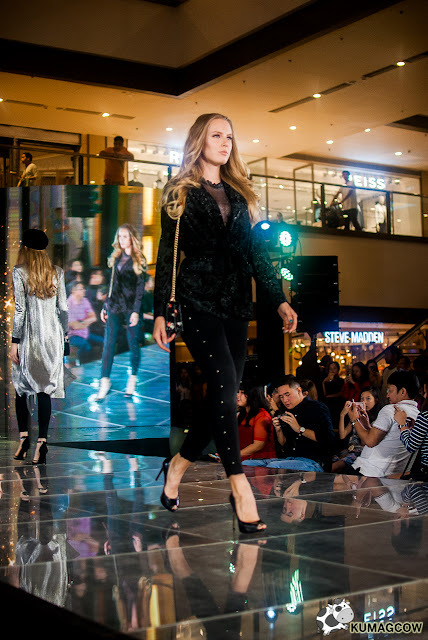 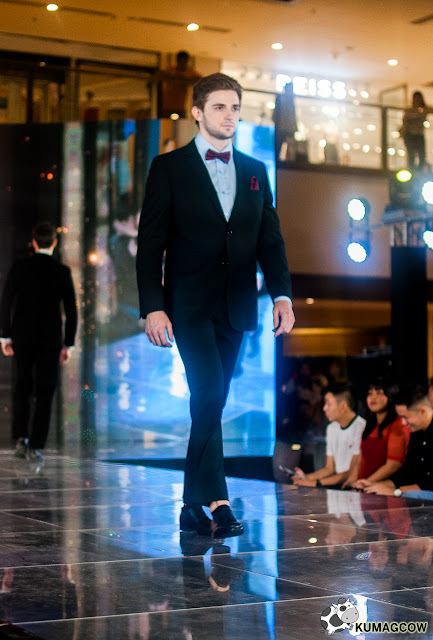 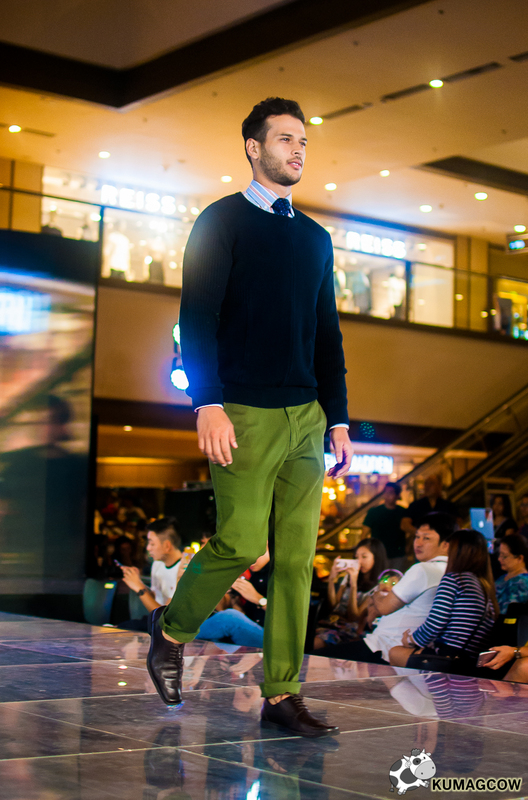 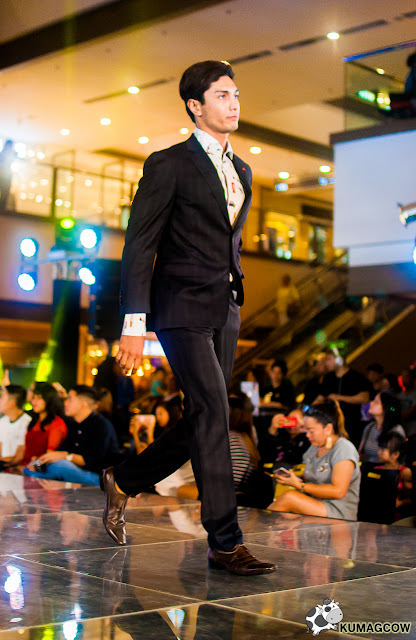 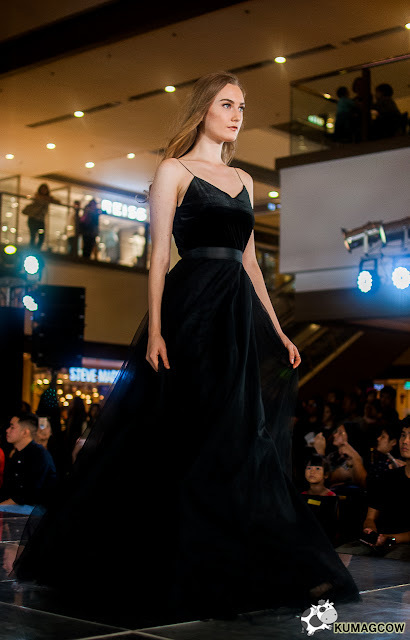 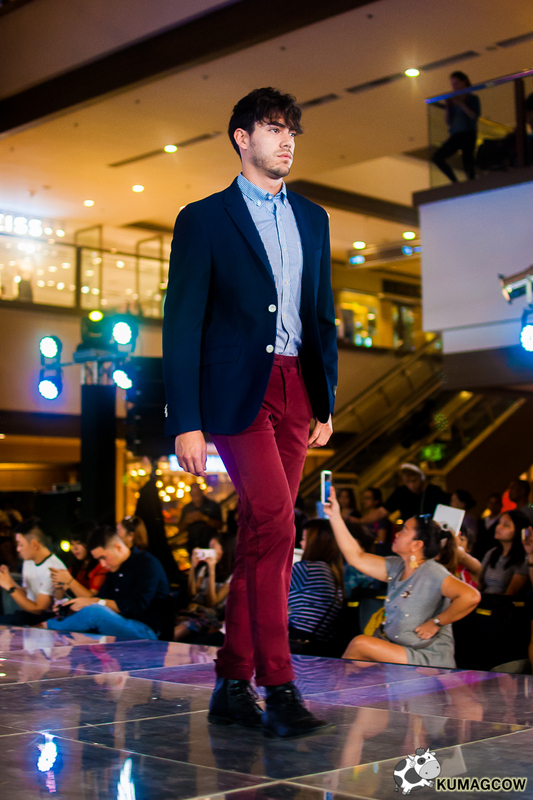 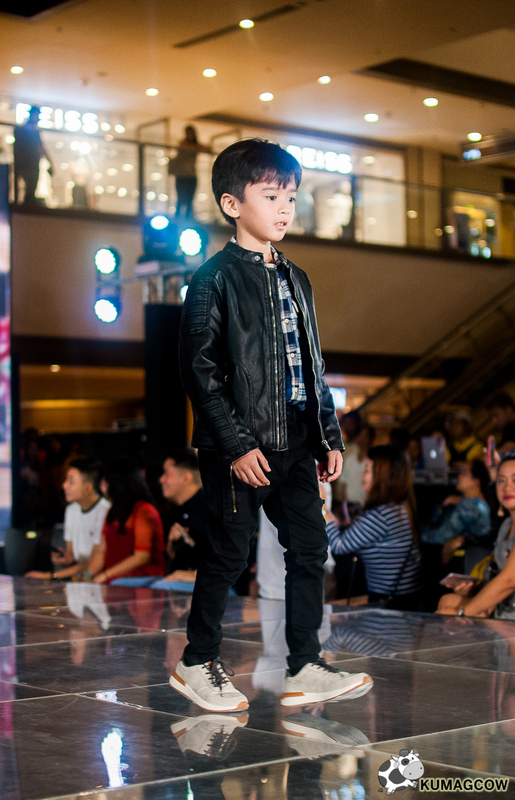 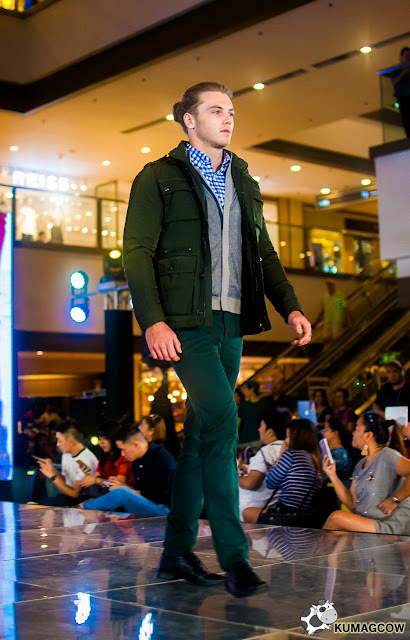 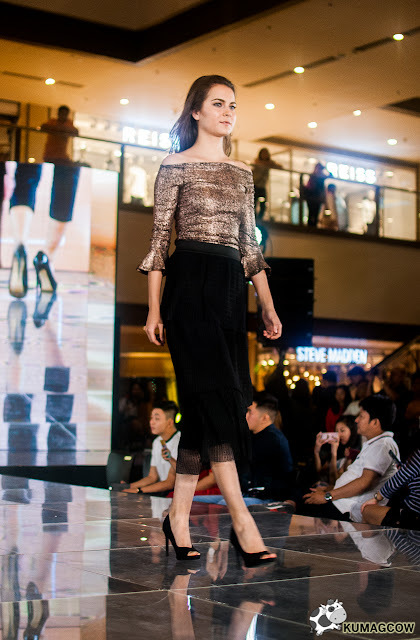 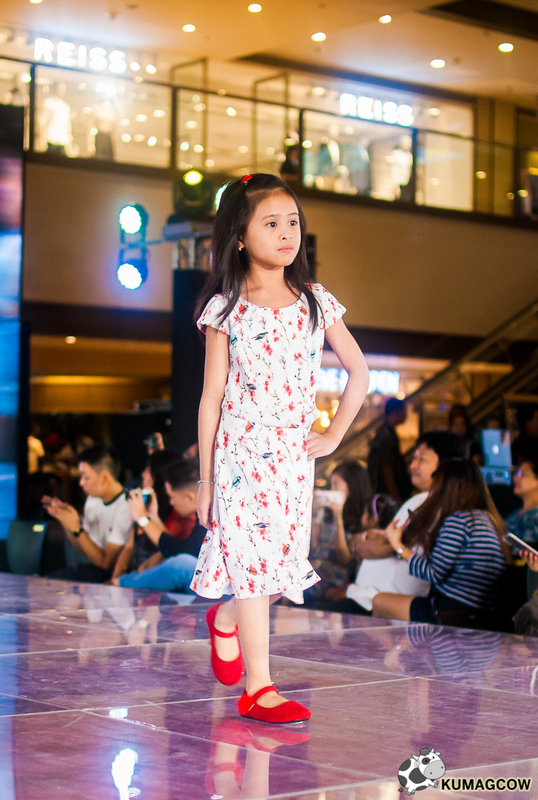 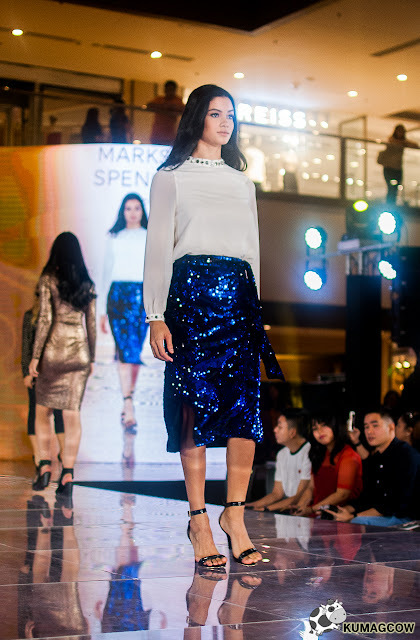 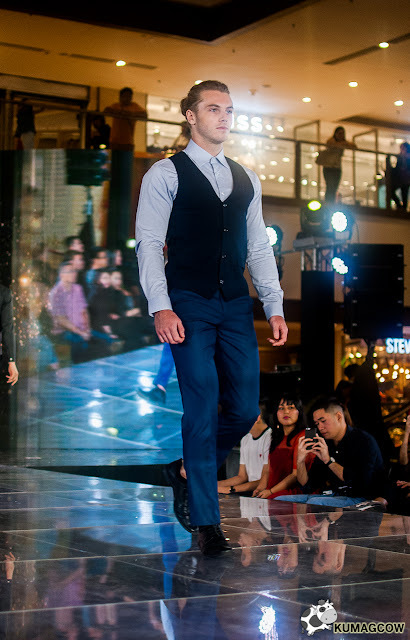 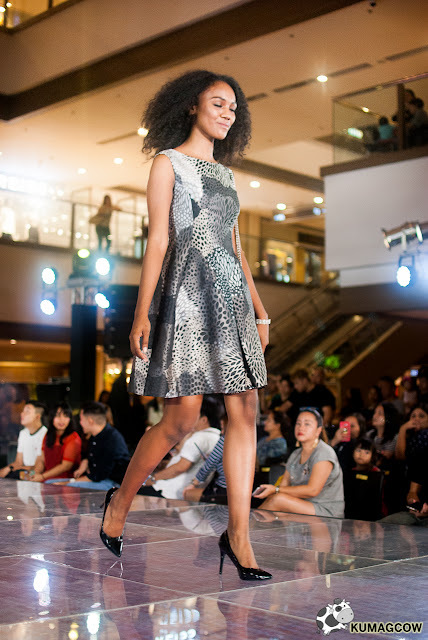 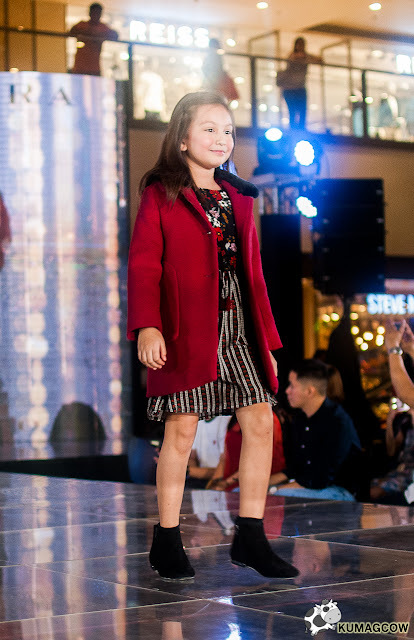 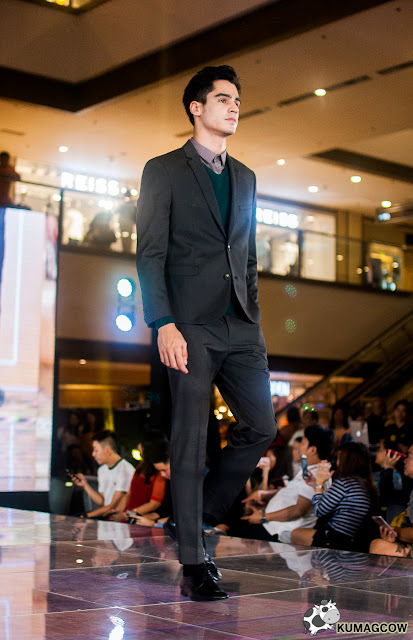 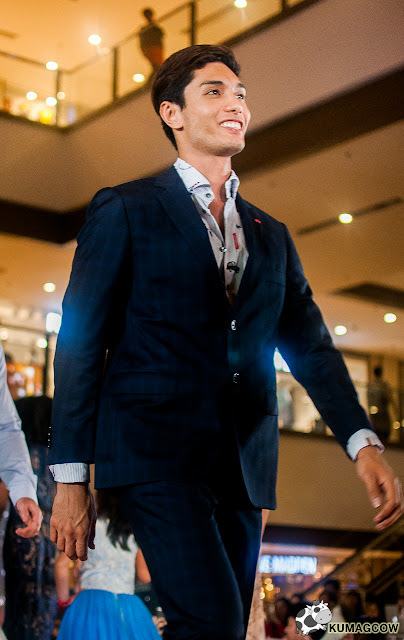 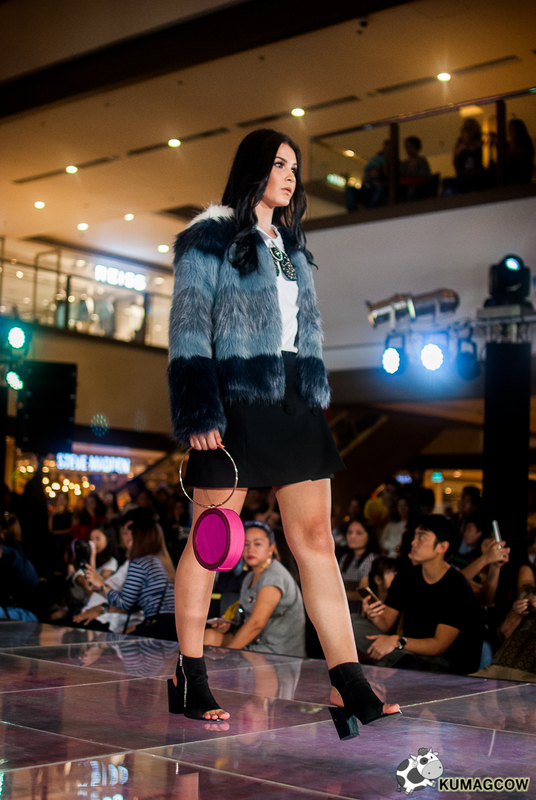 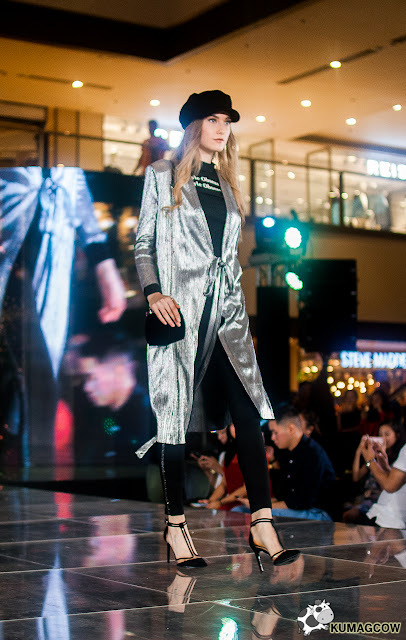 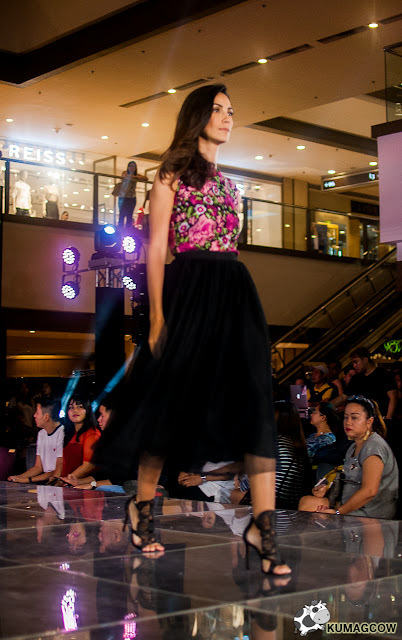 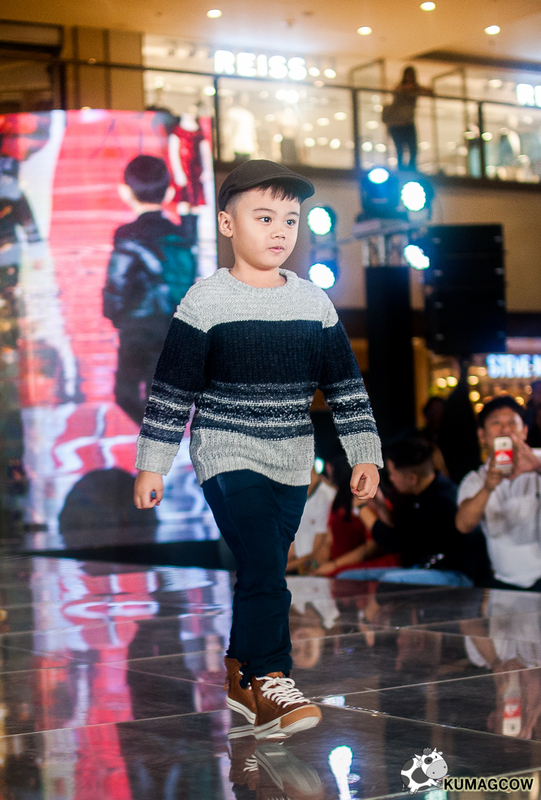 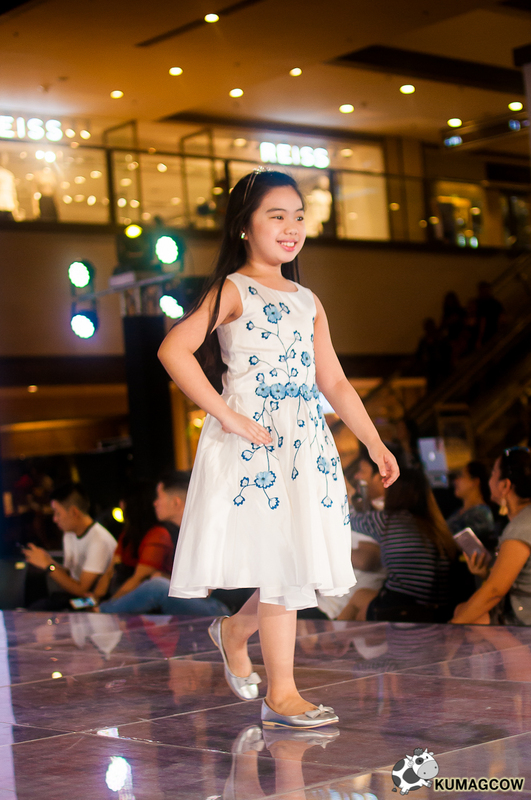 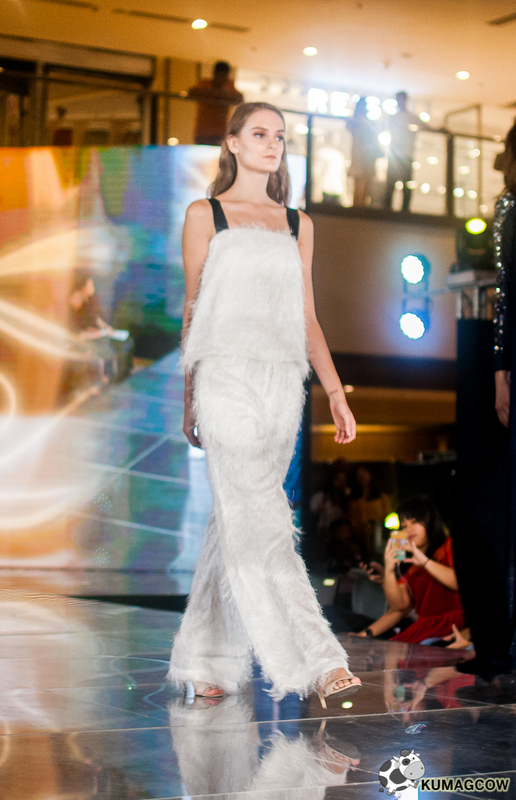 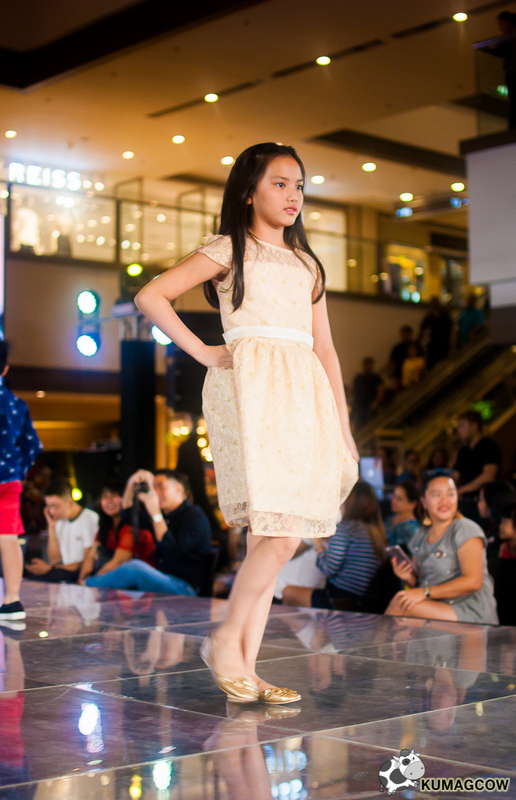 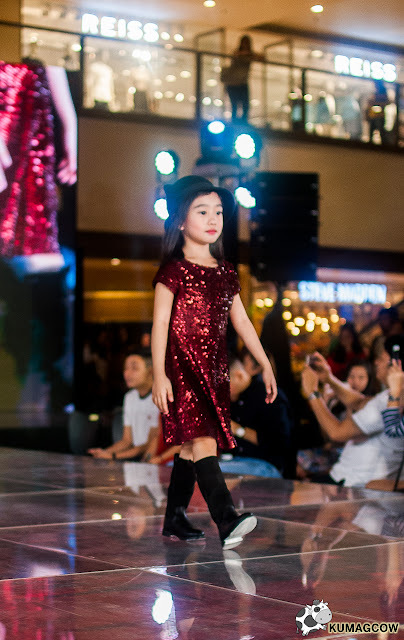 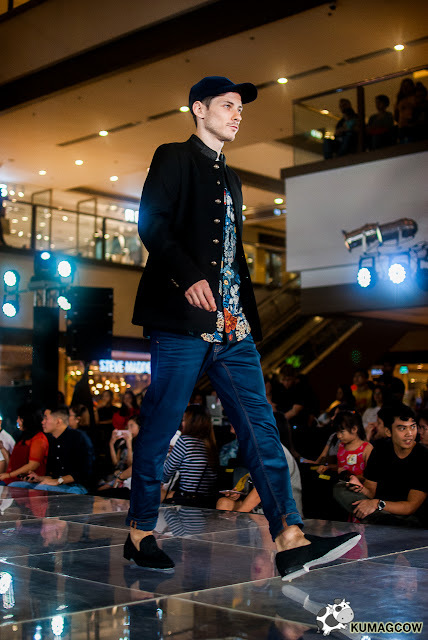 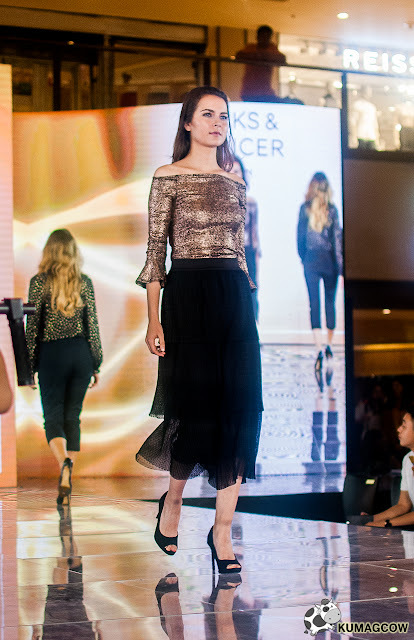 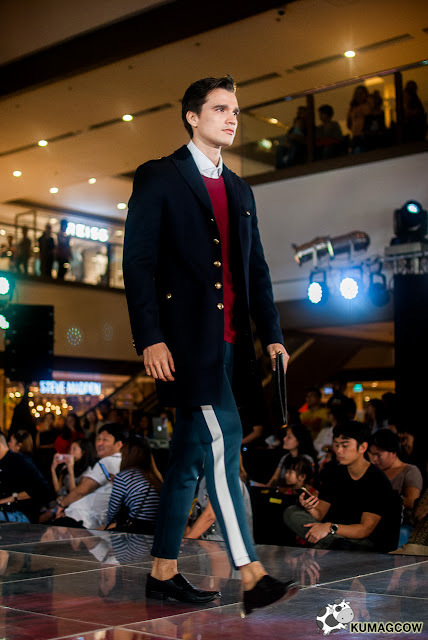 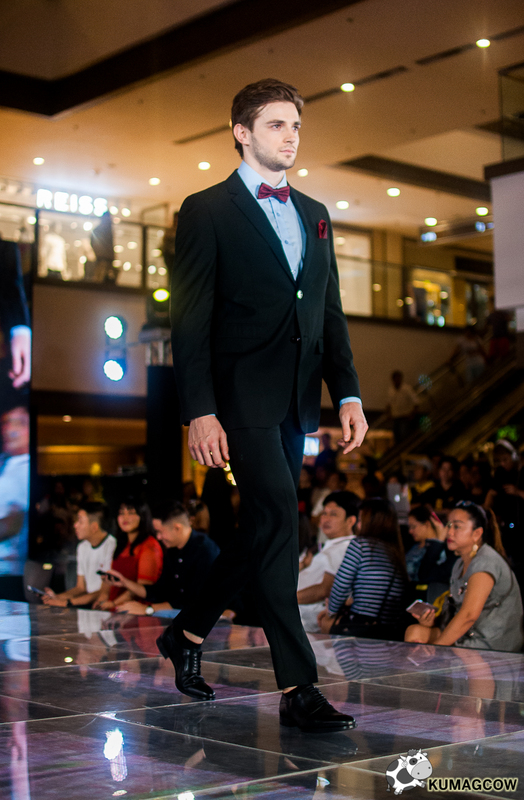 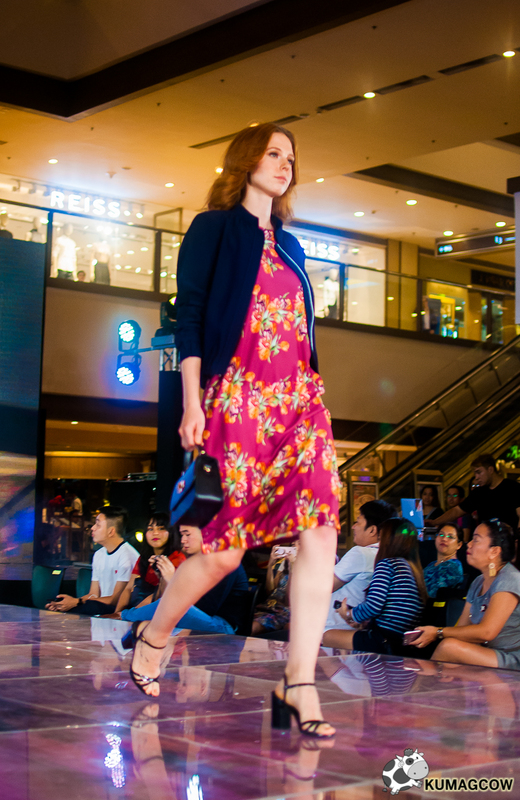 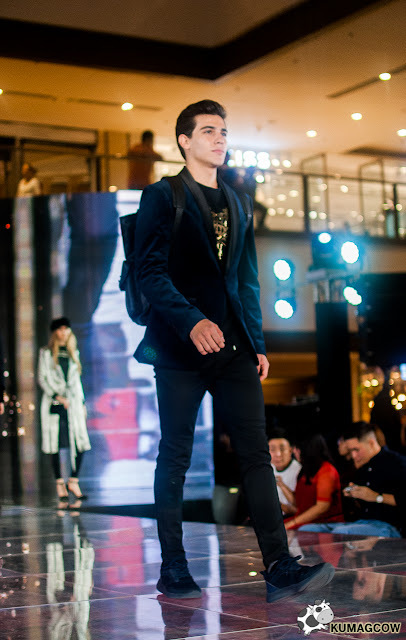 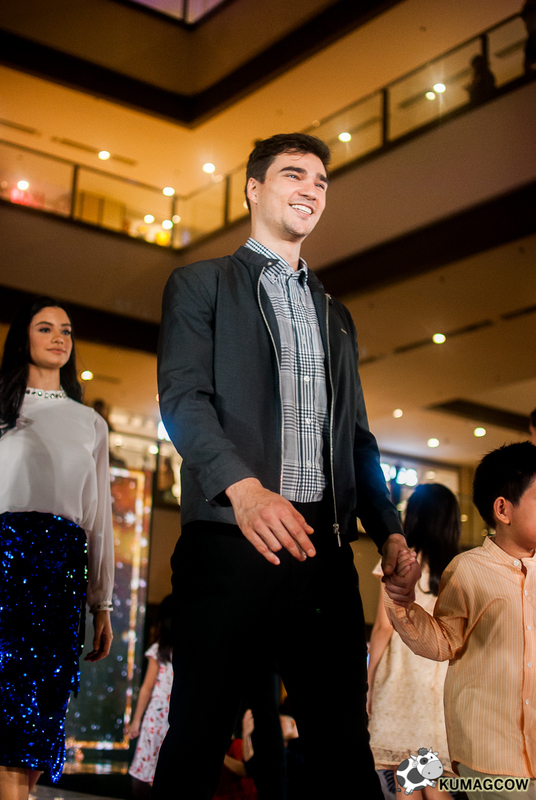 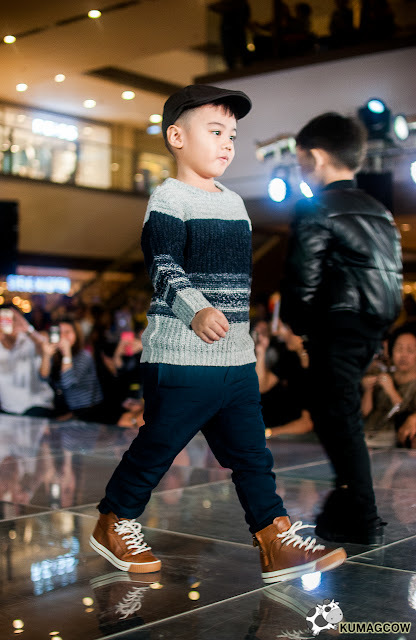 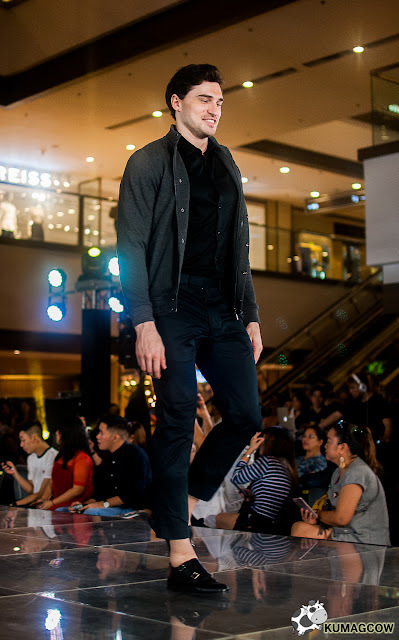 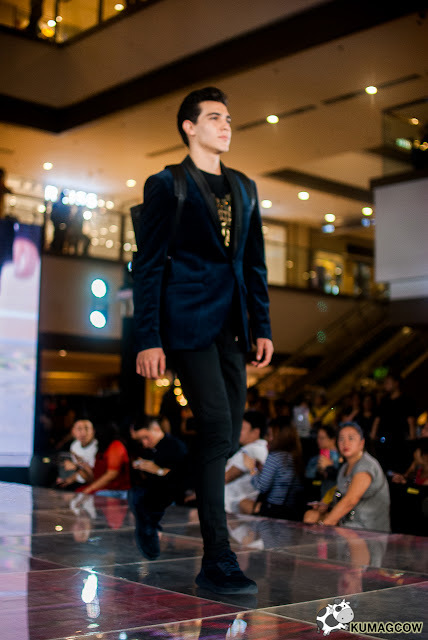 Set at the mall's Grand Atrium, they brought out the best of the best clothing, shoes, fashion items from some of the best brands they carry inside Rustans for example, I could talk about it lengthily but I'd rather show you the ware. 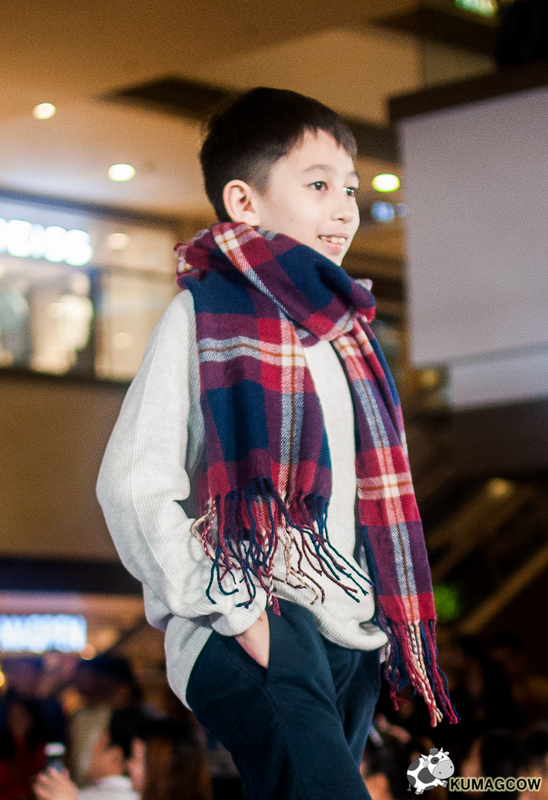 The holidays are indeed for the whole family and to start off, they got kids to model for the brands they have. 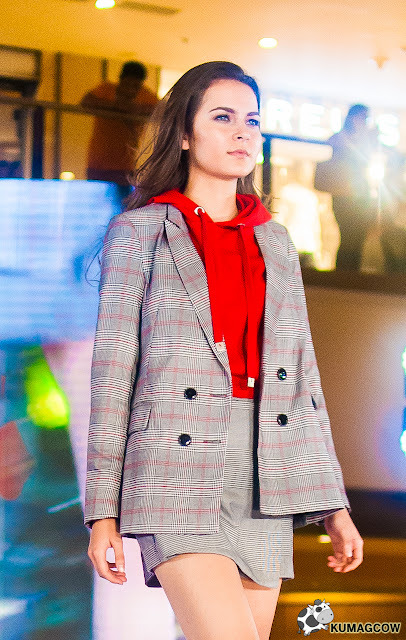 If you like Adora, Joe Fresh, Debenhams, Old Navy, Porsche Design, Paul & Shark, Repetto, British India, Stradivarius, Zara, Gap, Marks and Spencer, Arrow, K & Company, Daniel Hechter, Anne Klein, Van Laack, Brooks Brothers, Mico Boutique, Styled, The Park and others, you're in for a treat because the divided collections into two shows and we've covered the 7PM event. 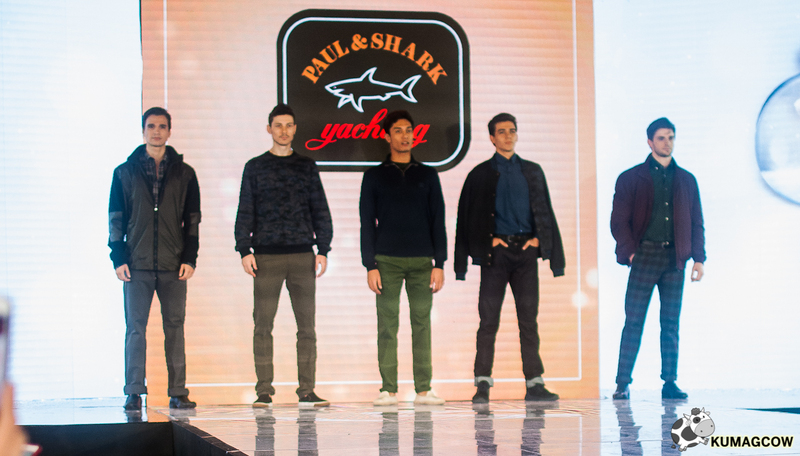 Feast your eyes on these! I like the relaxed preppy looks of Brooks Brothers. 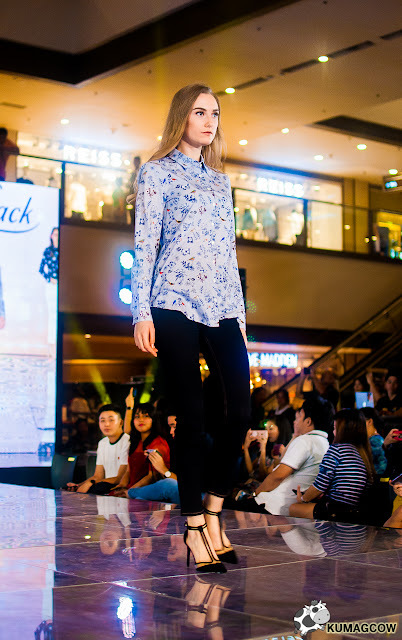 My friends love wearing prints, this would be perfect for them! 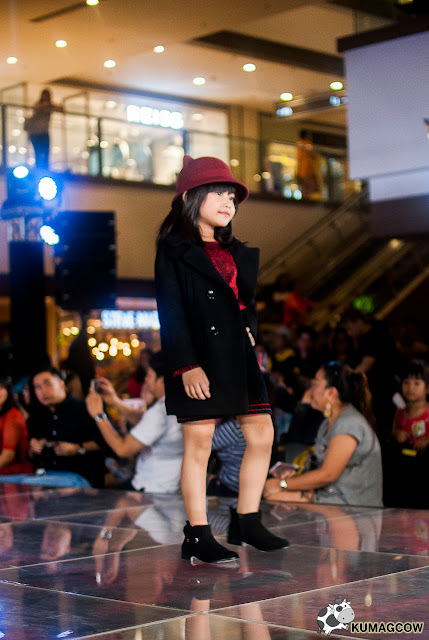 I think I've seen her in Asia's Next Top Model, she's from Malaysia if I'm not mistaken. The formal gowns from STYLED were exquisite! 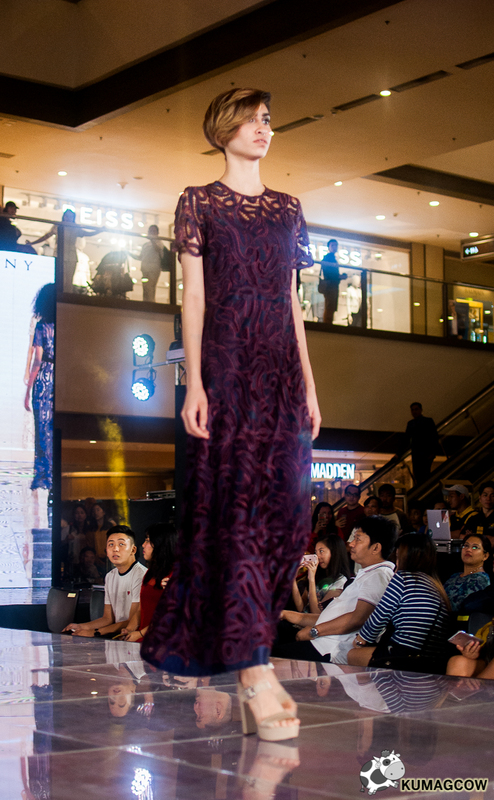 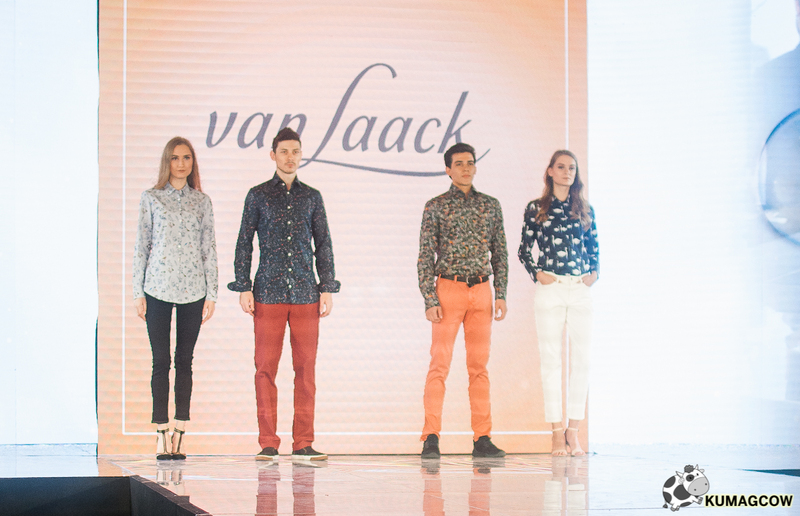 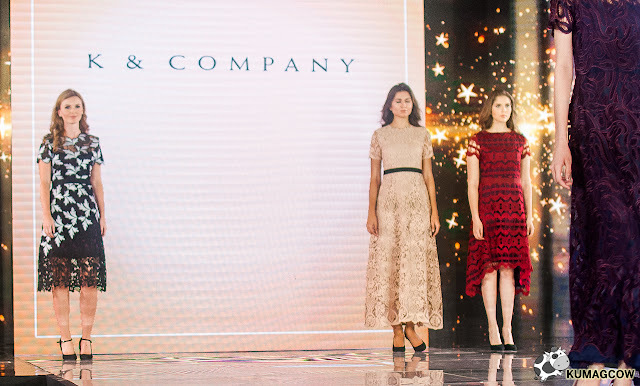 K & Company kept it classic, laced and very feminine. 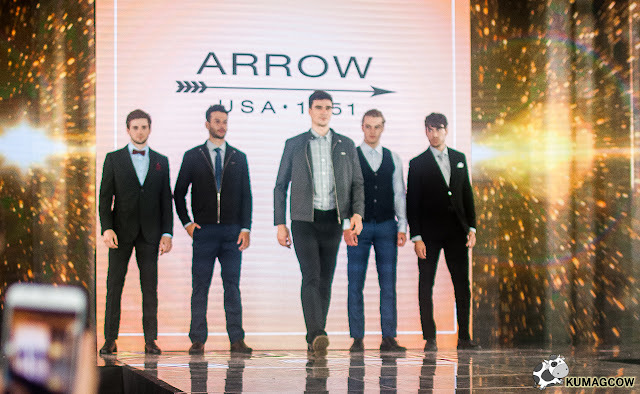 The suits from ARROW are a staple in my closet, you should have them too! 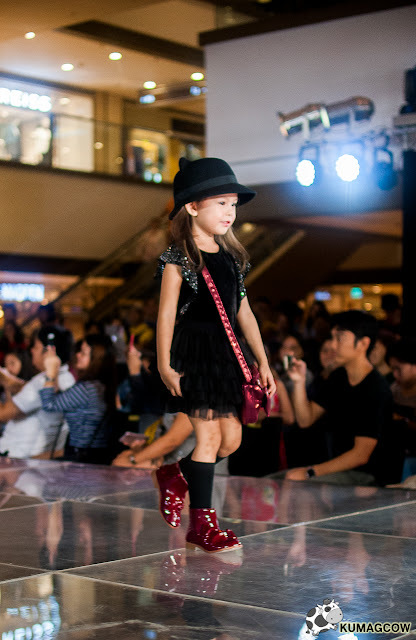 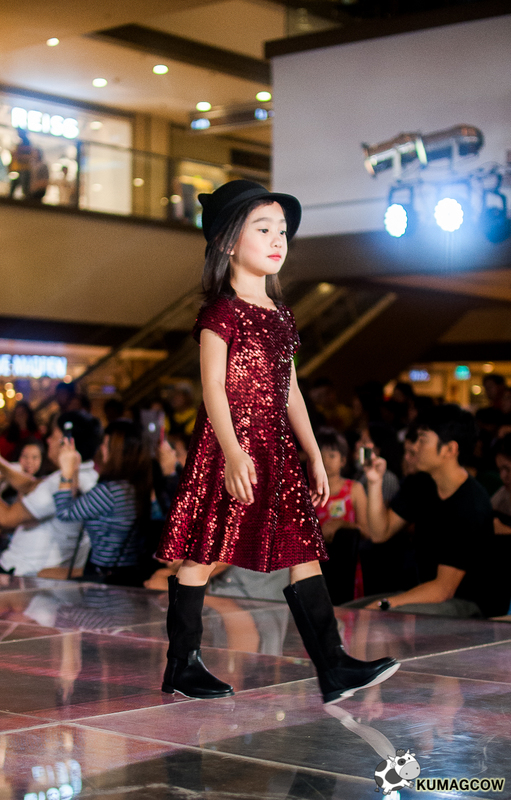 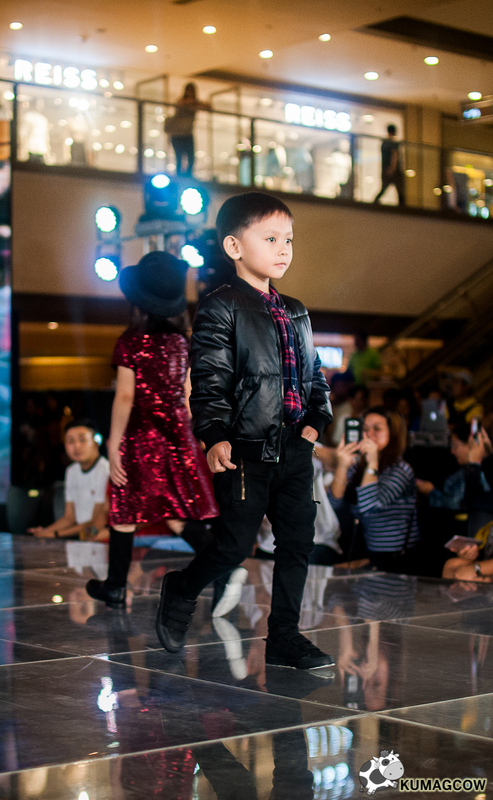 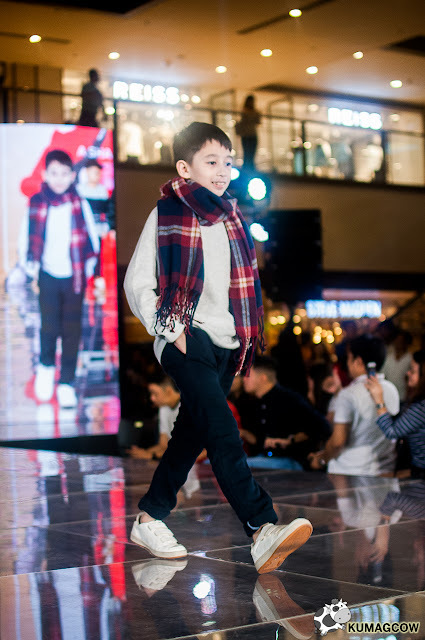 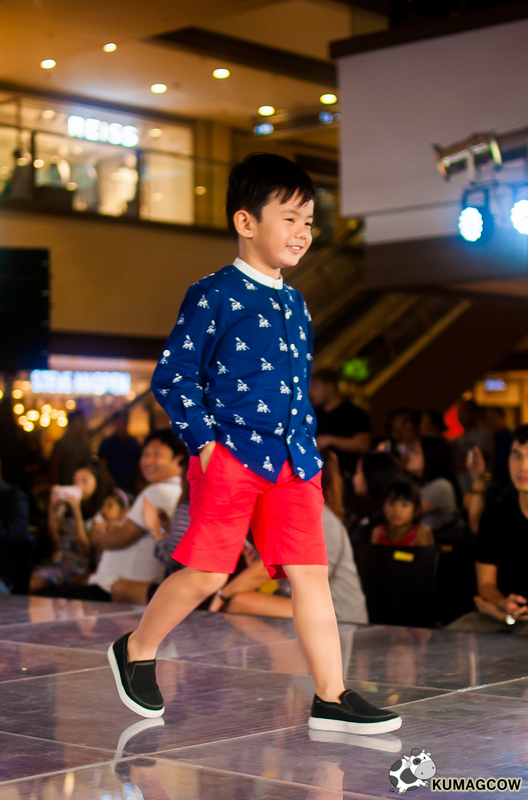 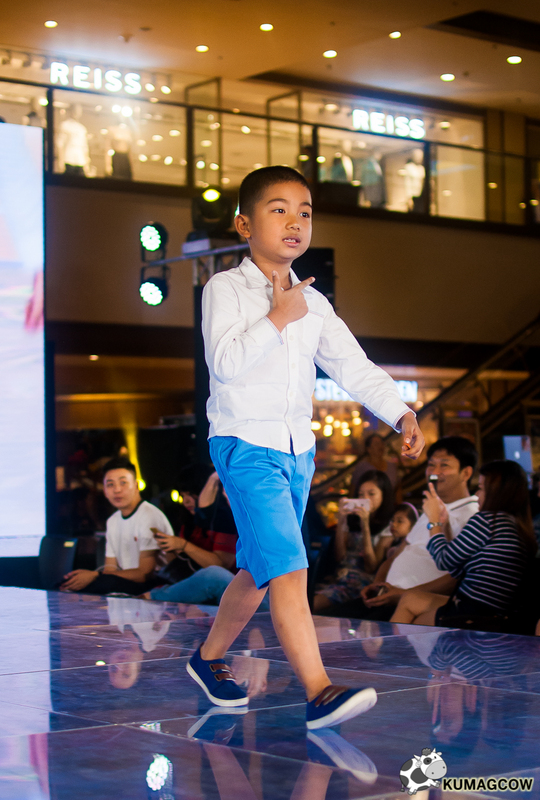 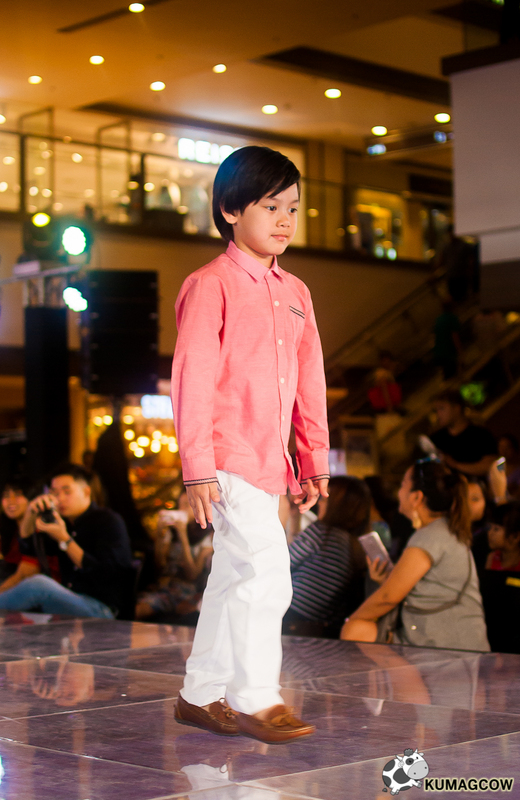 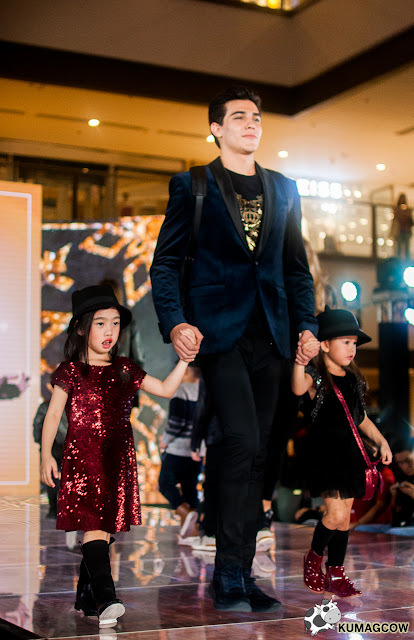 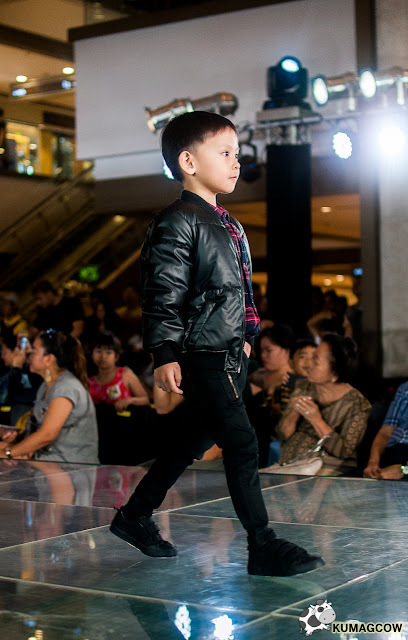 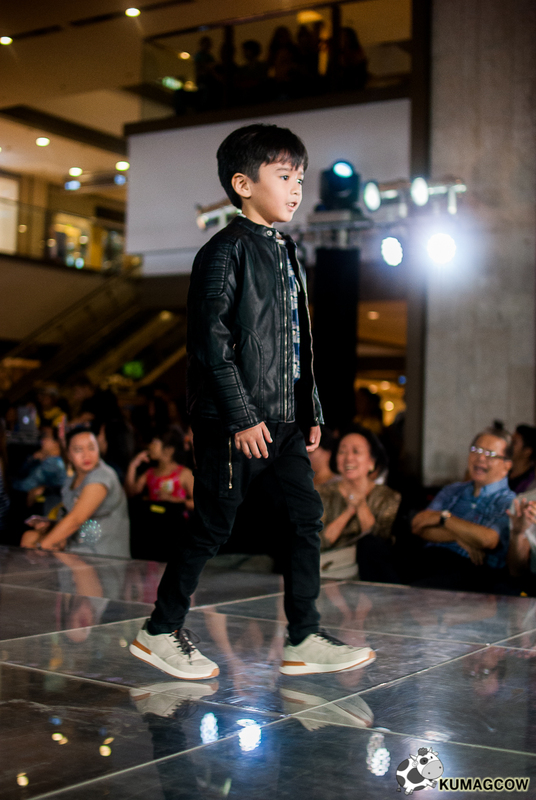 Then the kids came back on the runway, all so cute! 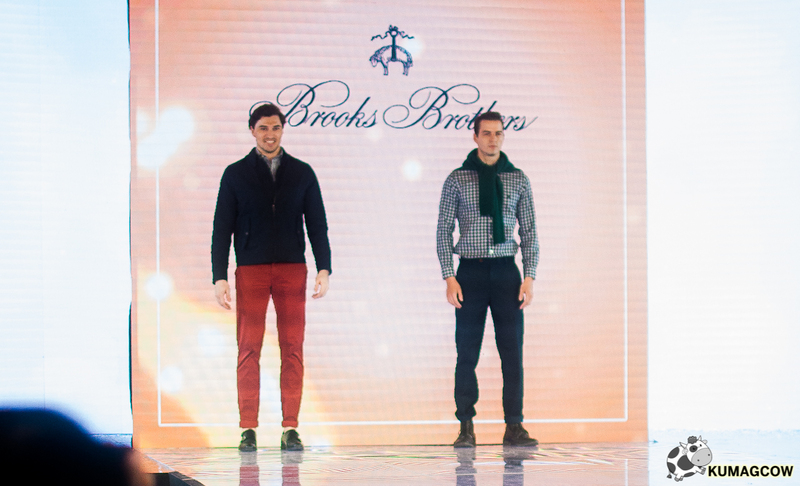 Now you've got a lot to look forward to when you're around Shaw and probably something on your wish list for the holidays. 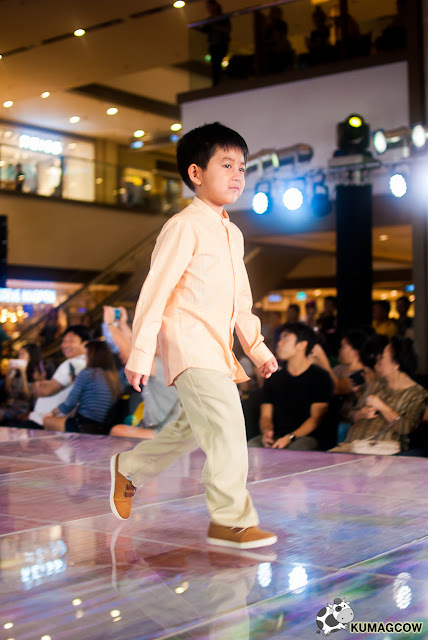 I have my eyes on the coats, the preppy shirts and probably get to buy my Mom some of those dresses. Shangri-la Mall isn't just that classy mall you've always loved, you just have to discover it yourself by visiting them today. 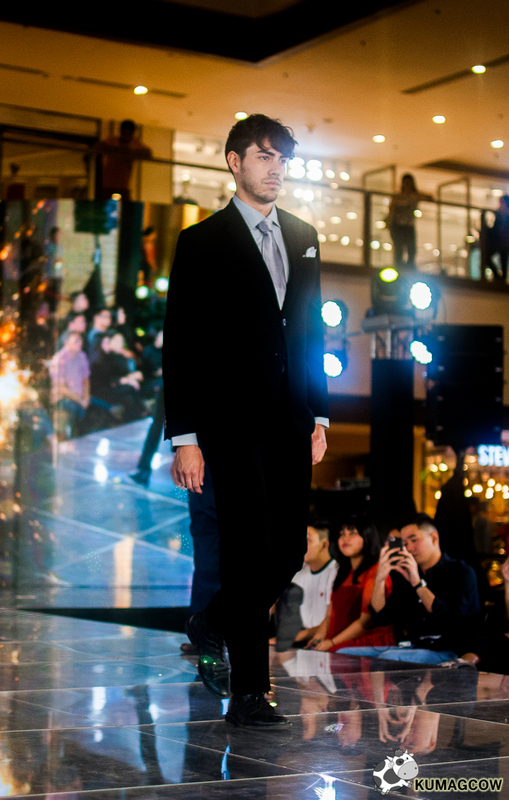 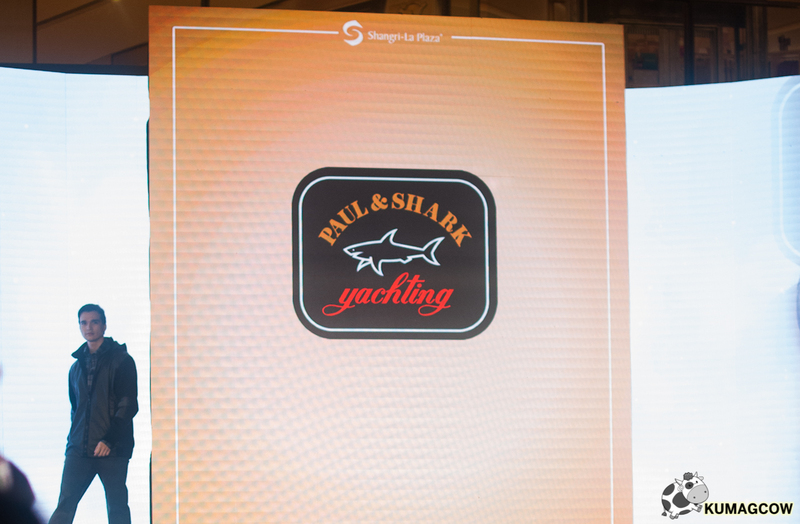 Thank you so much to the people behind this show and Shangri-la management who let us cover the whole show! I hope in some way you felt like you were in the front row. 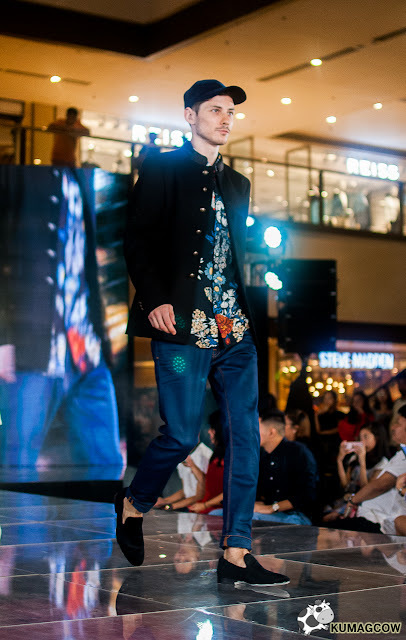 If you want to see more things happening at Shangri-la Mall, like their Facebook page at Facebook.com/shangrilaplazaofficial. 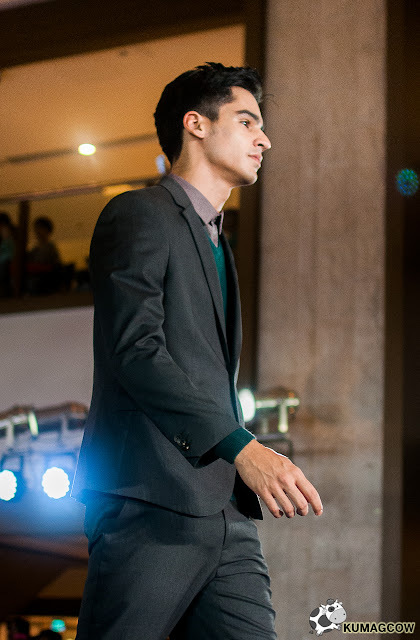 It's all there!